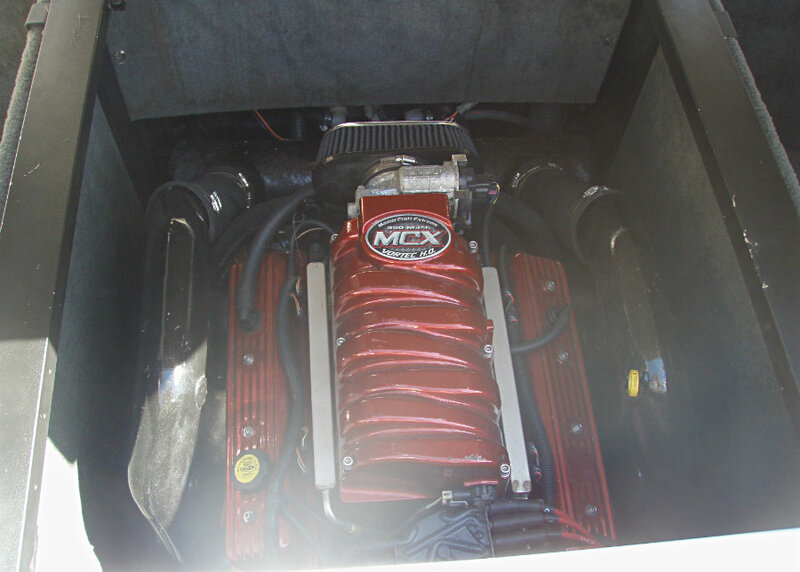 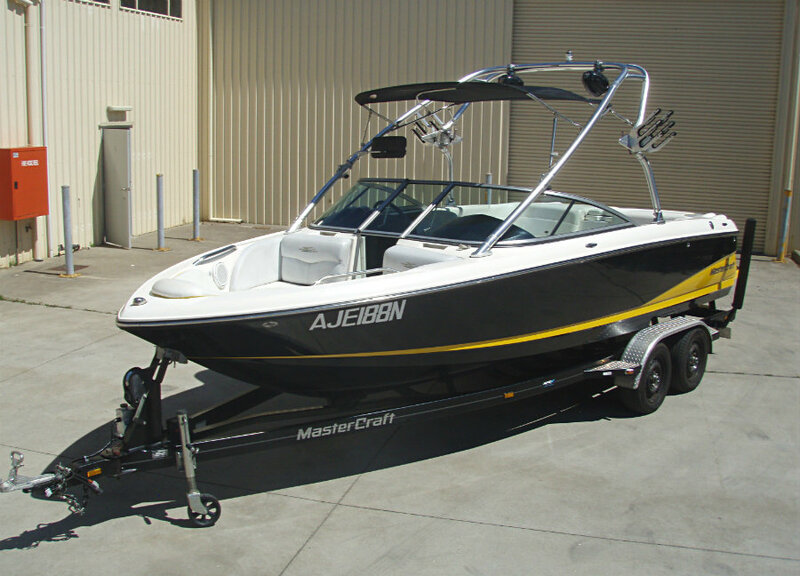 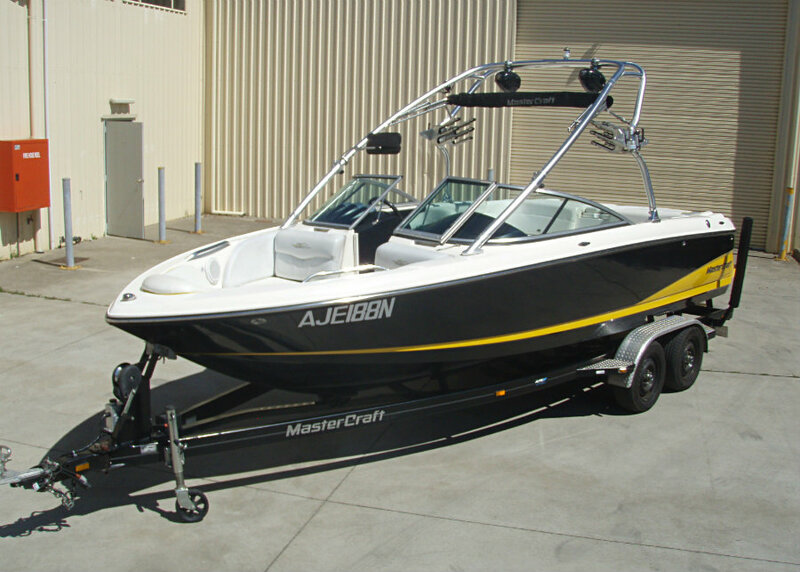 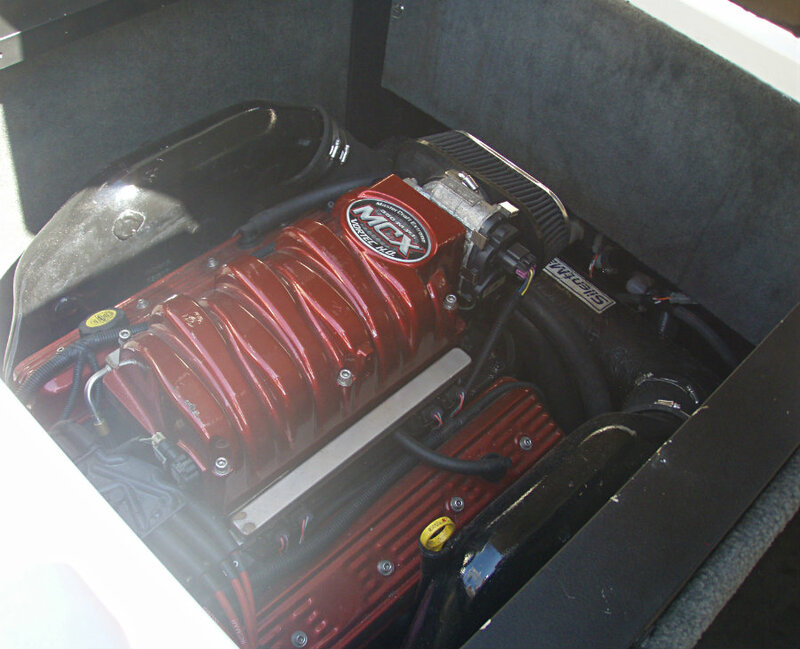 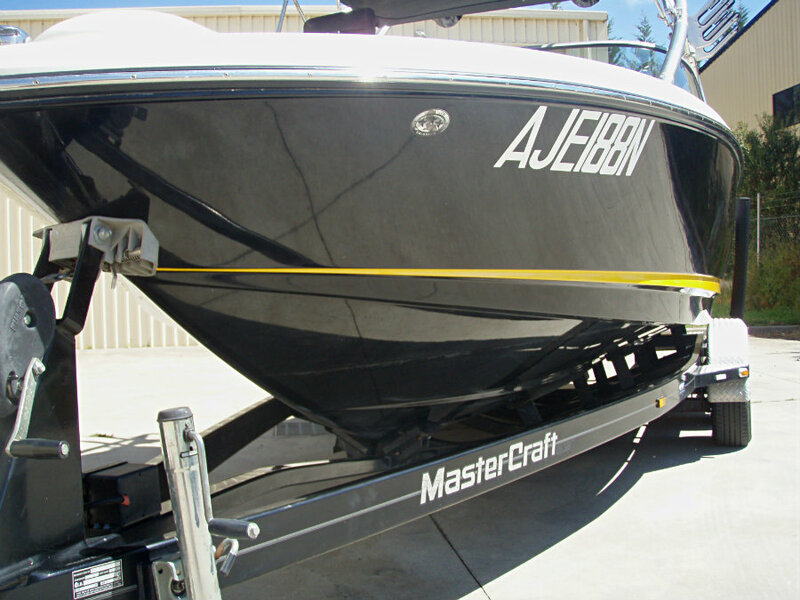 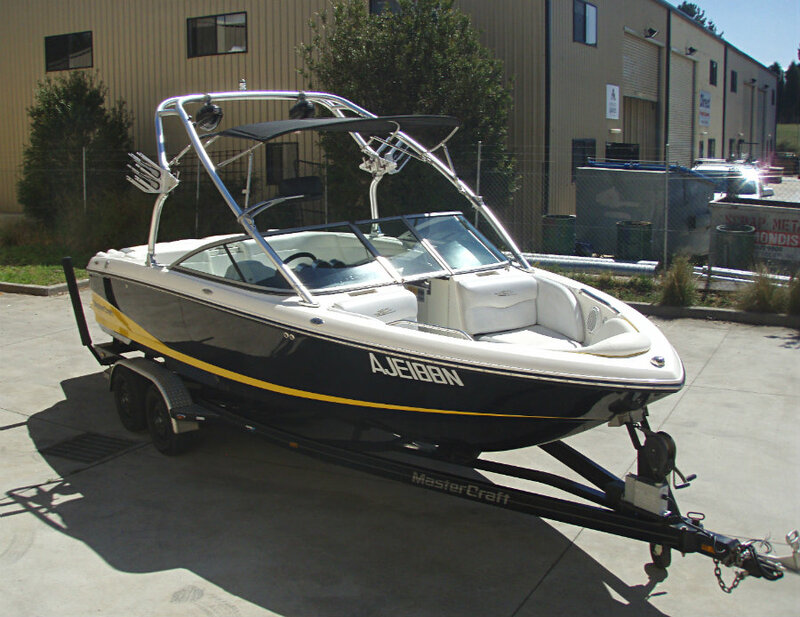 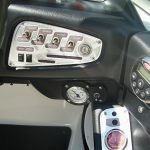 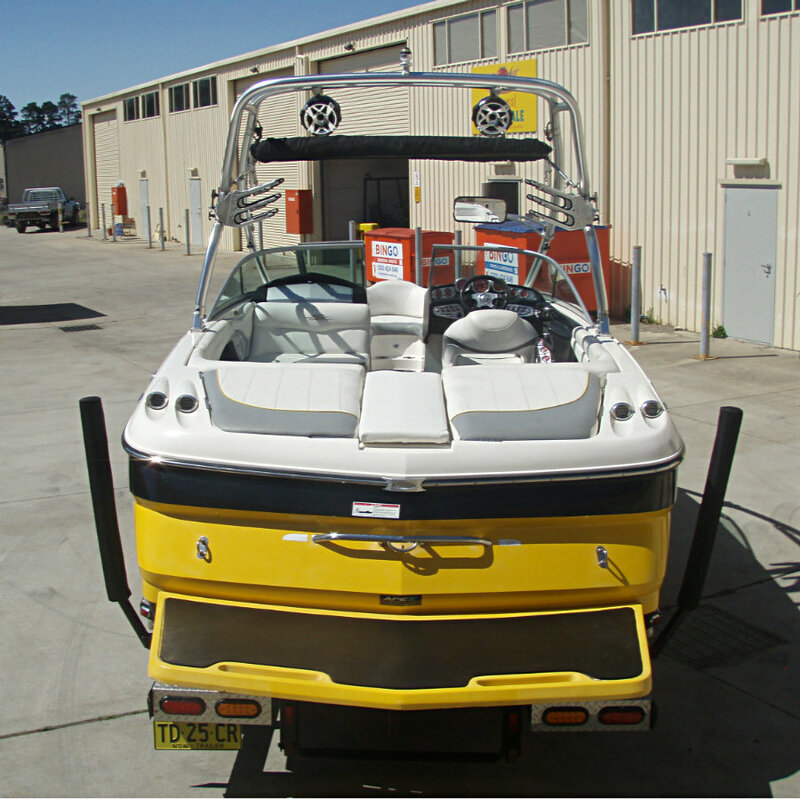 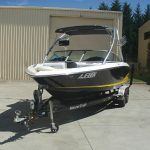 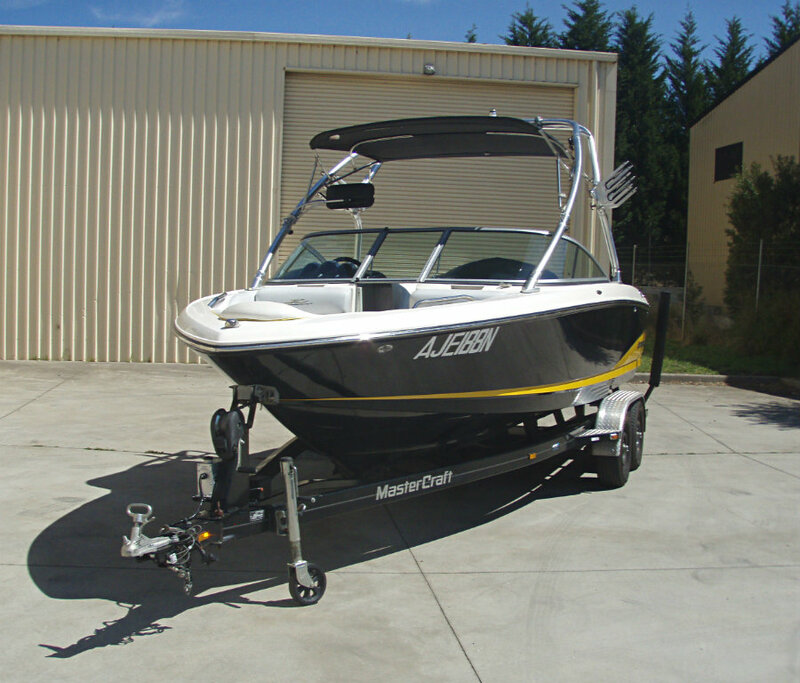 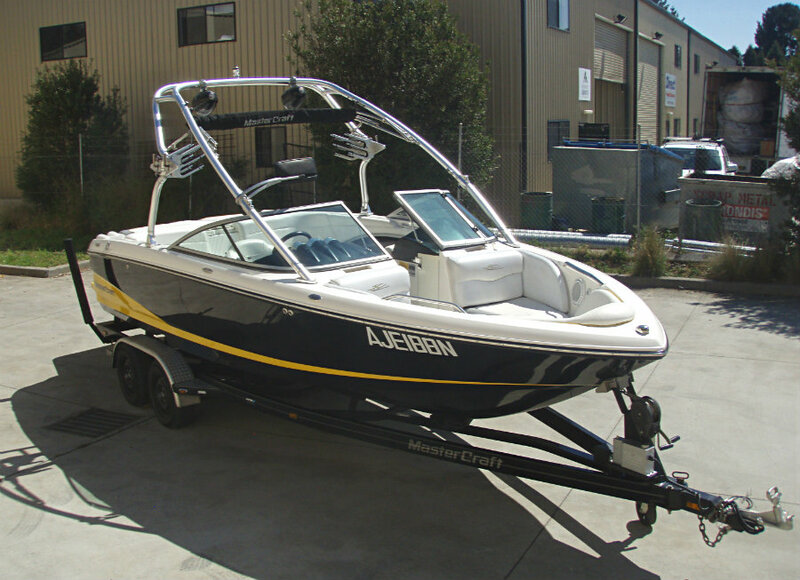 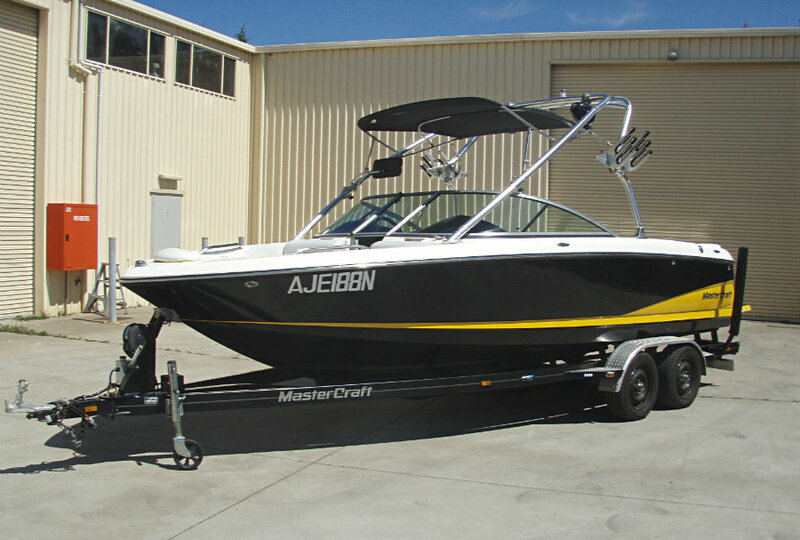 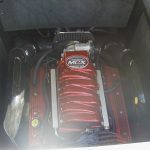 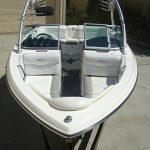 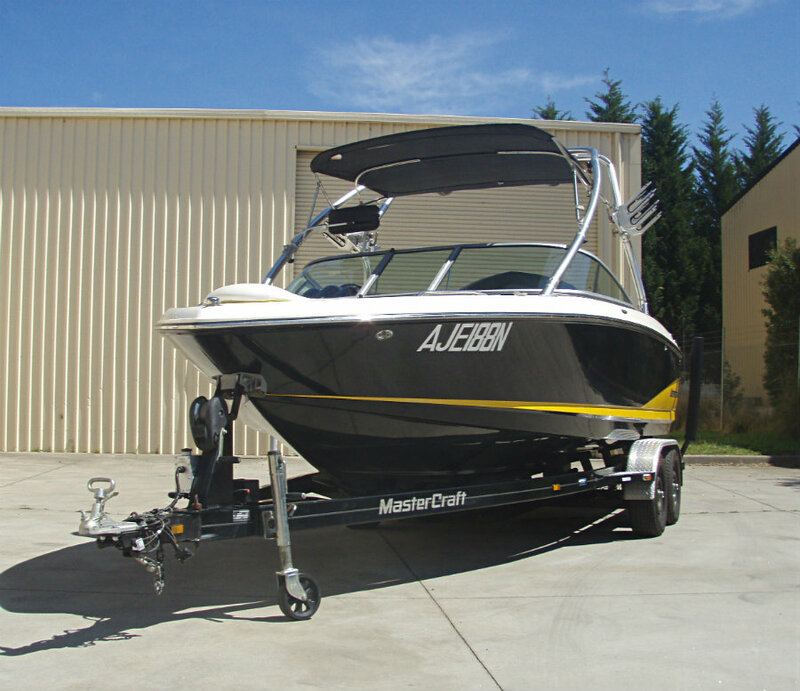 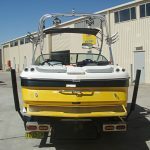 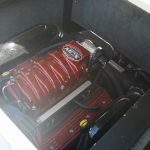 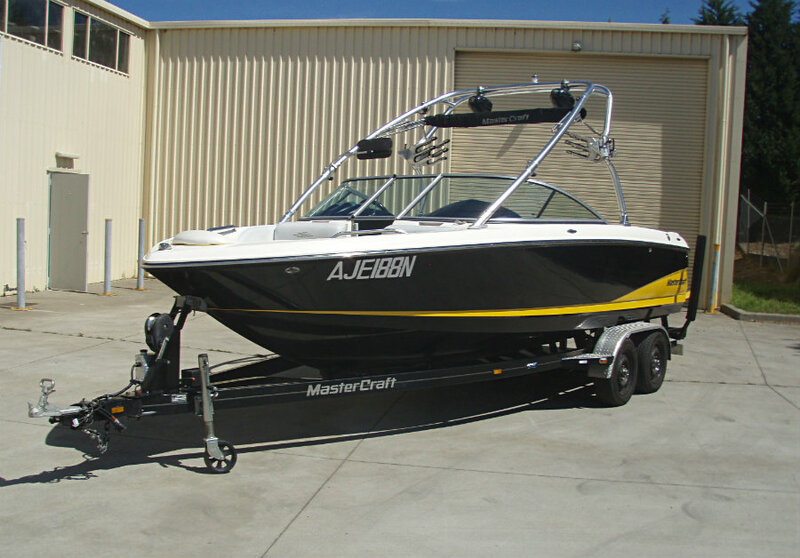 2006 Mastercraft X-30 Wakeboard boat powered by a 5.7L V8 350hp MPI Indmar MCX HO inboard engine with V-drive and showing only 275 hours of mainly FRESHWATER use. 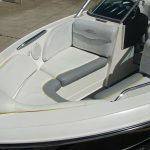 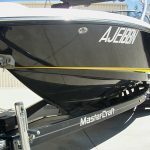 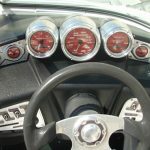 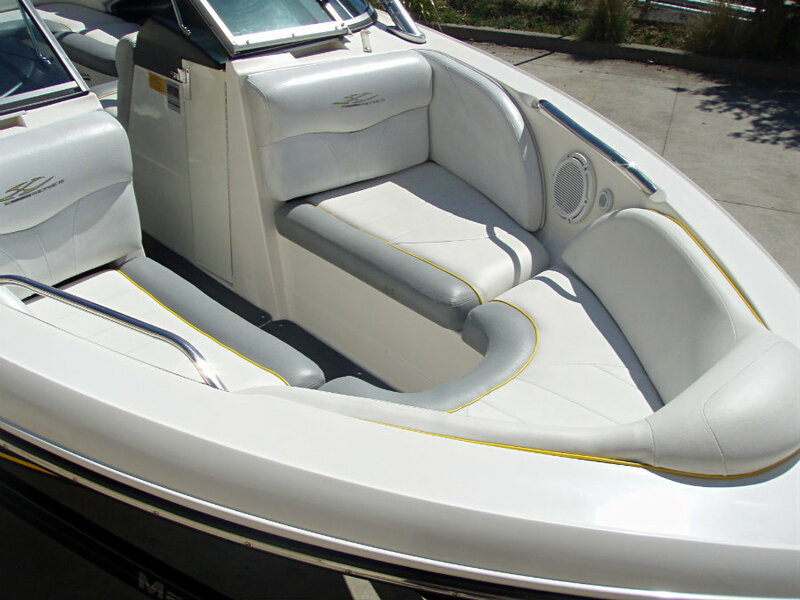 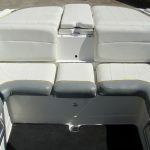 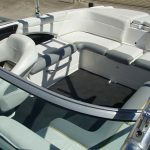 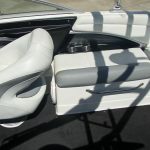 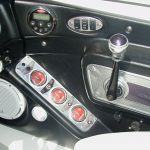 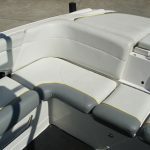 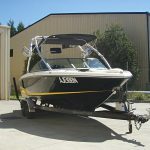 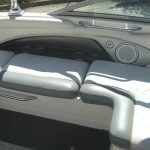 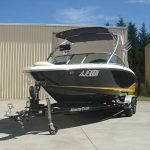 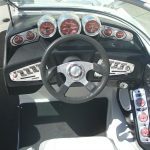 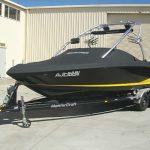 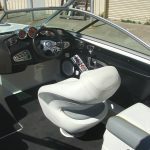 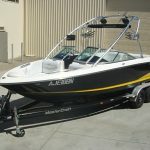 Throughout its history, MasterCraft has maintained a fairly simple philosophy :- “design and build boats that help make boating more enjoyable.” A direct by-product of this thinking is the X-30. 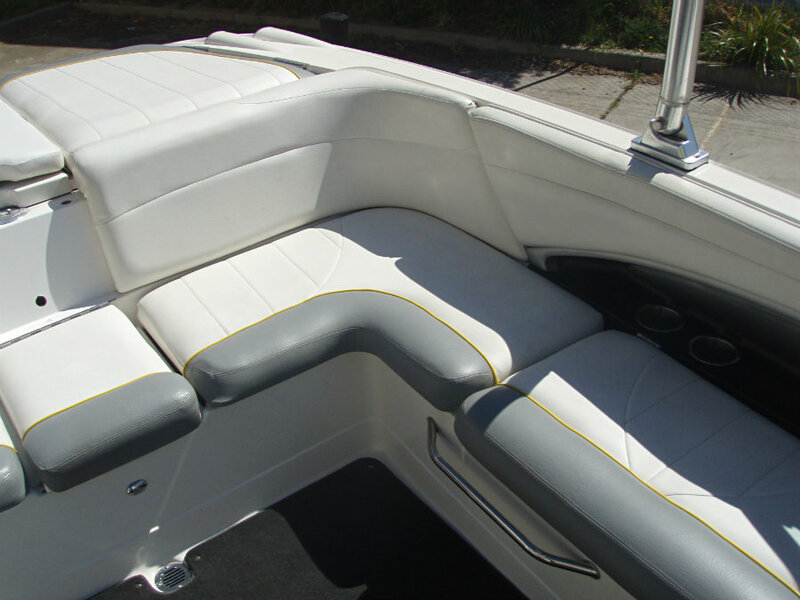 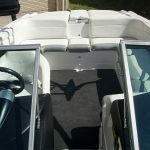 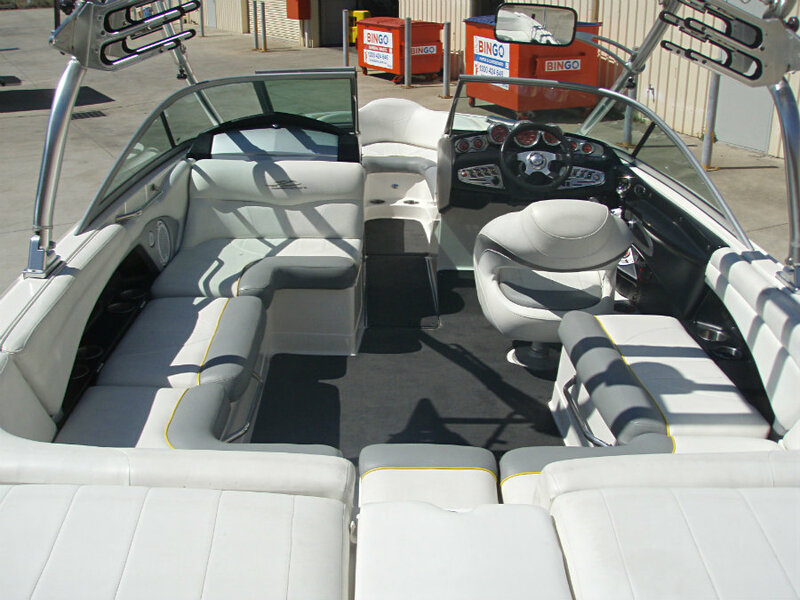 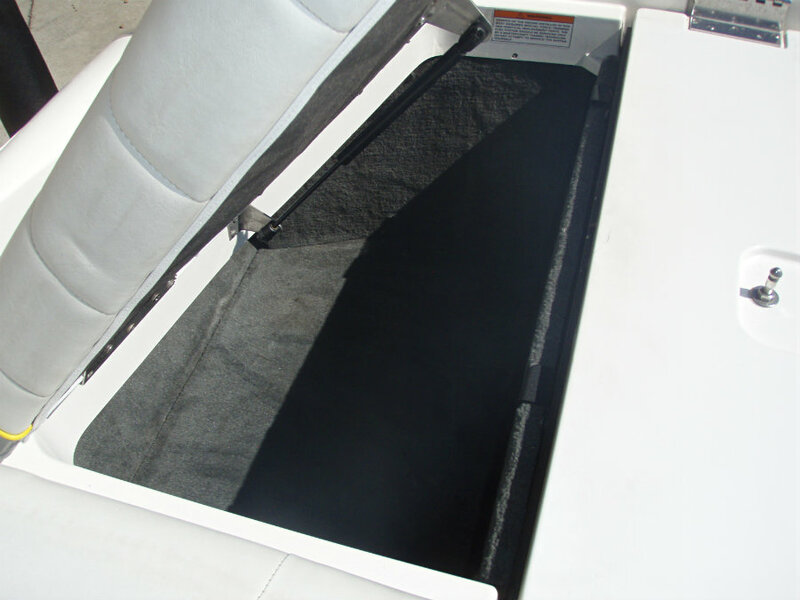 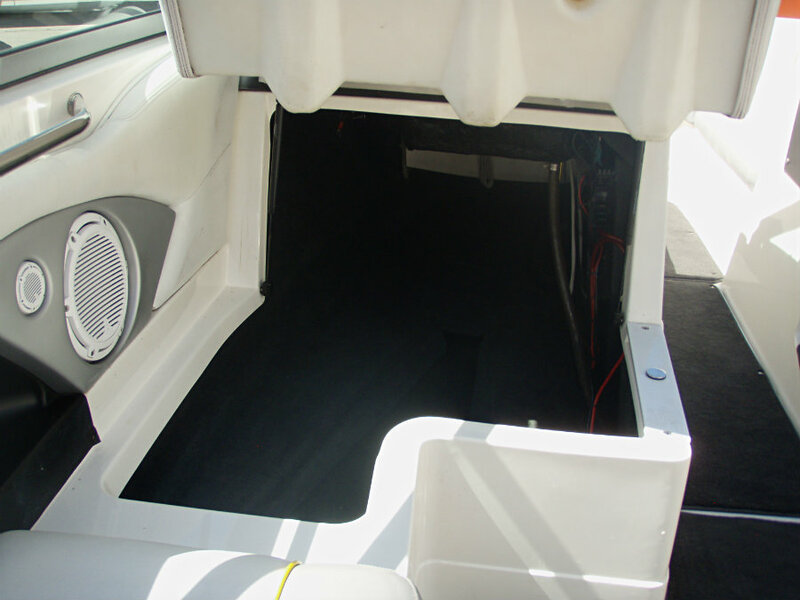 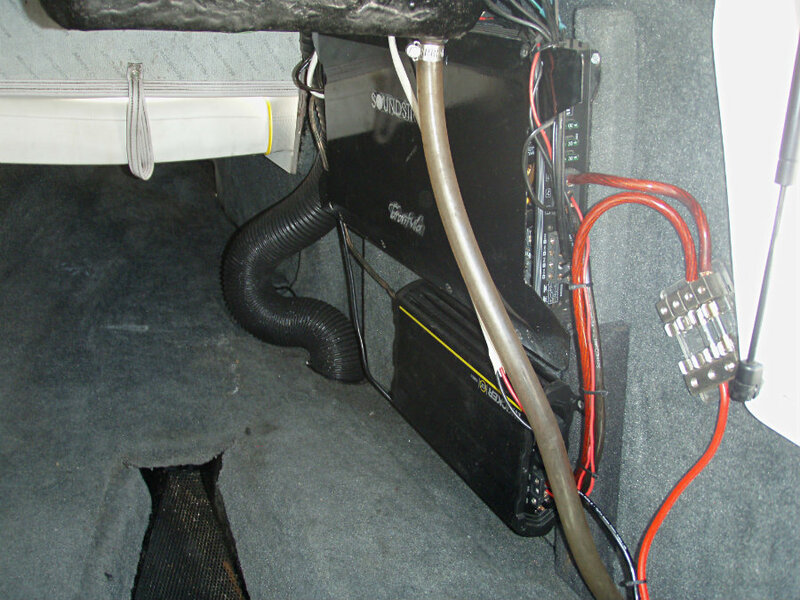 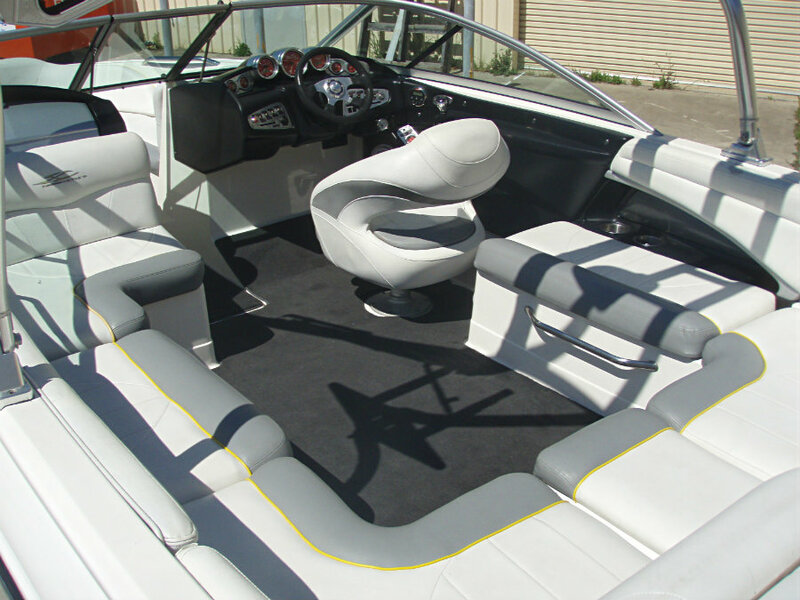 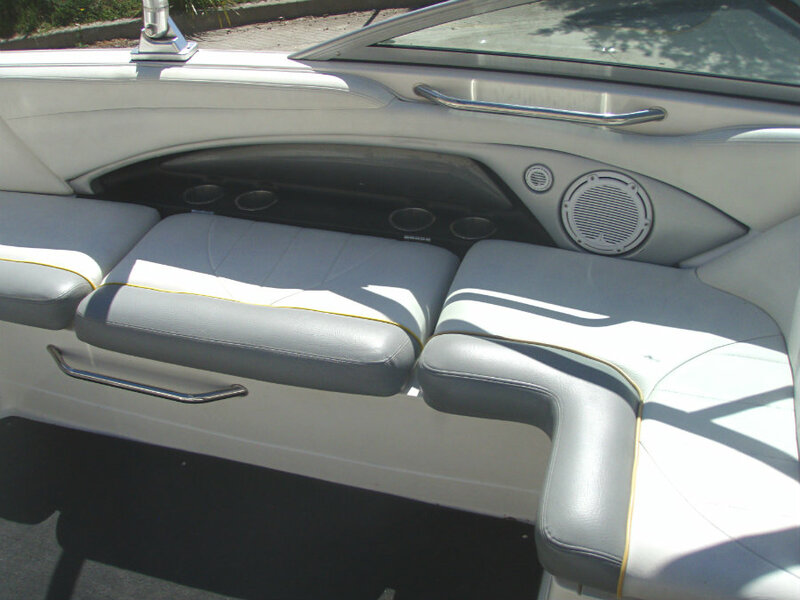 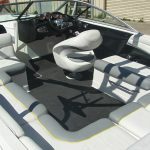 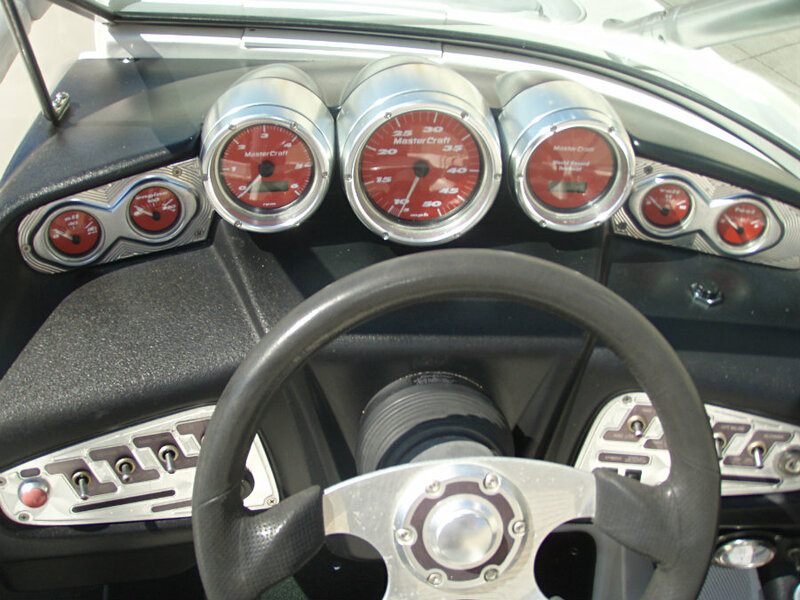 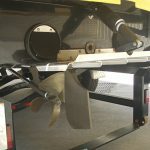 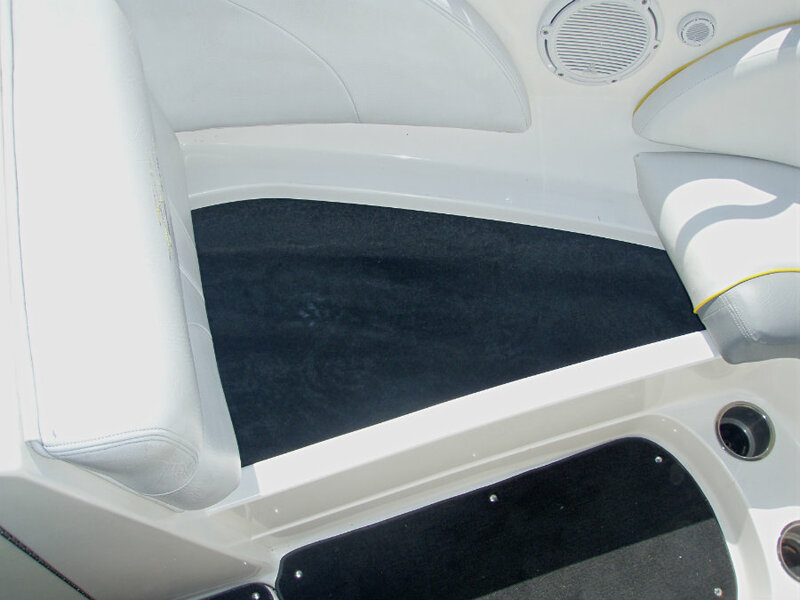 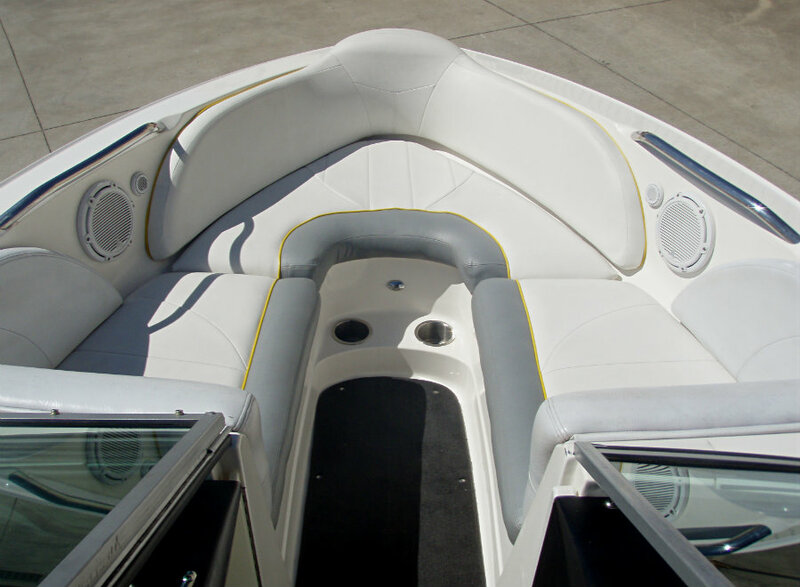 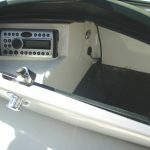 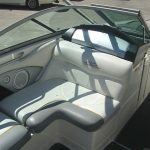 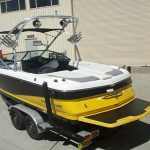 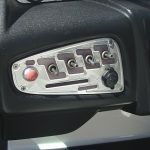 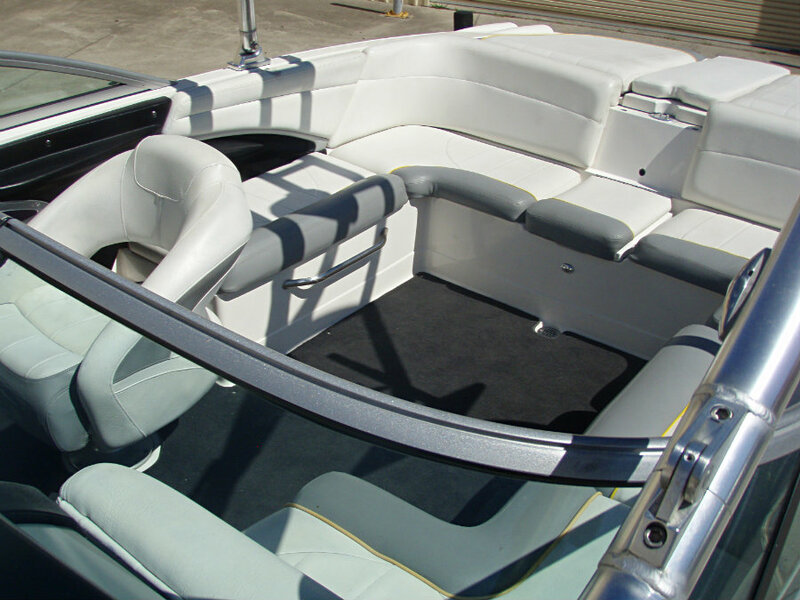 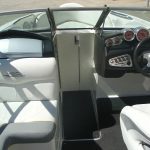 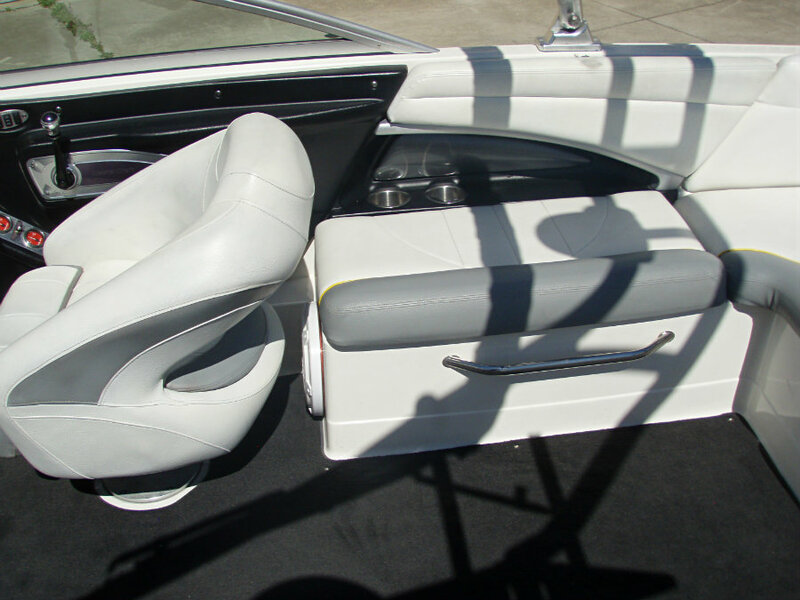 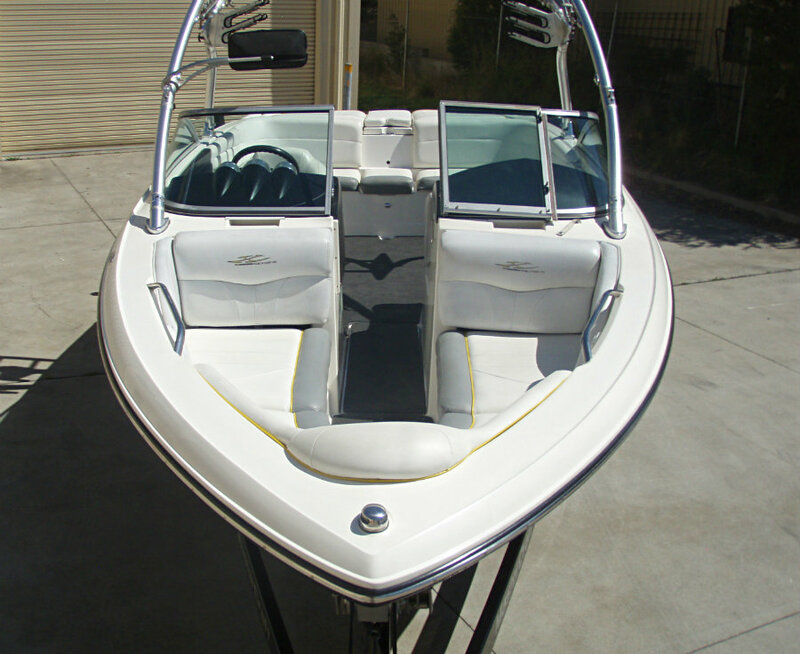 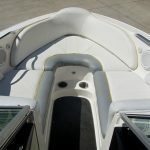 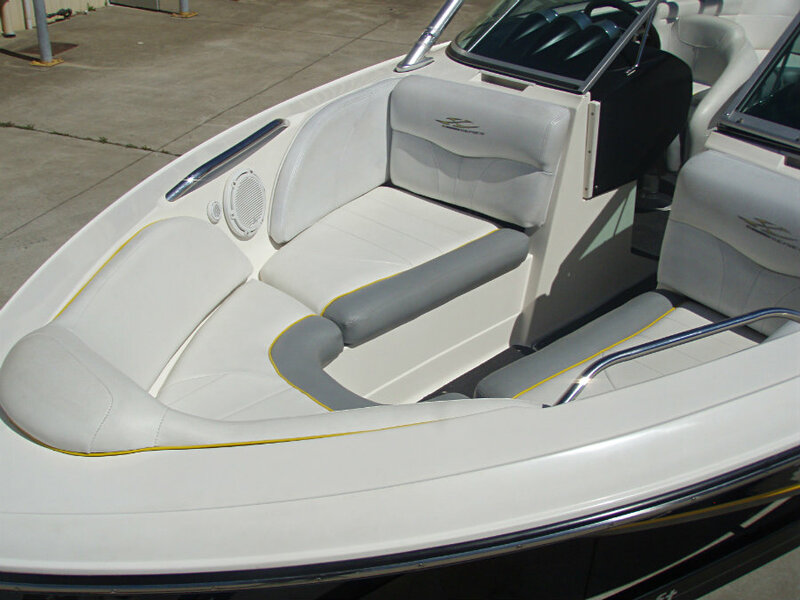 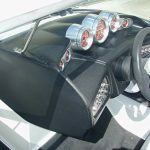 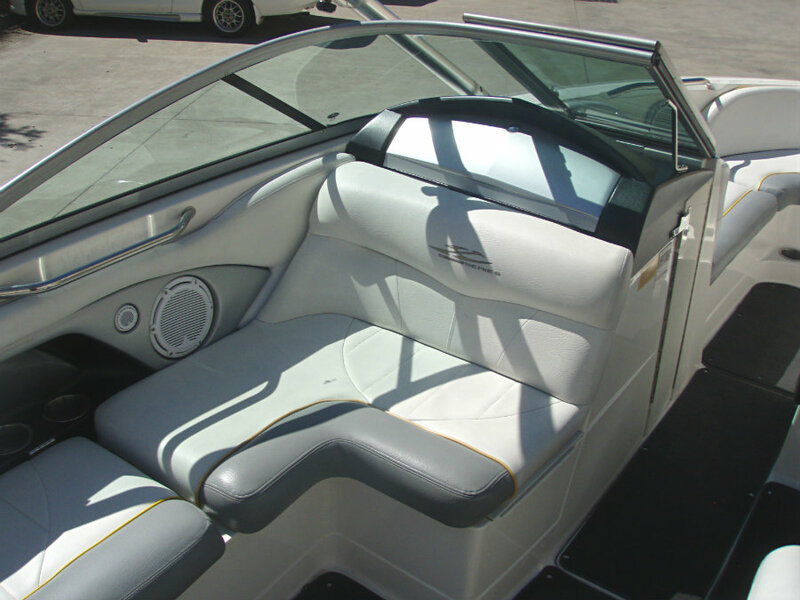 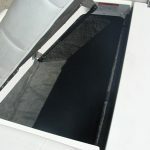 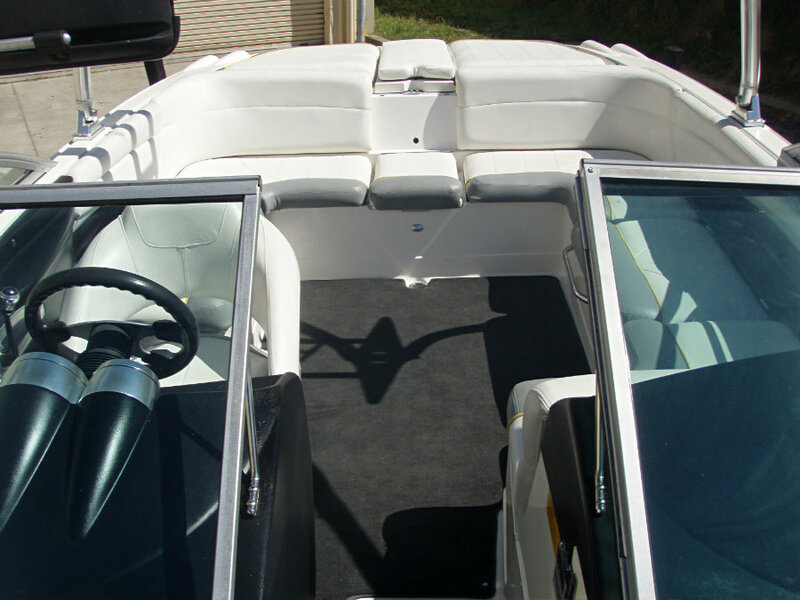 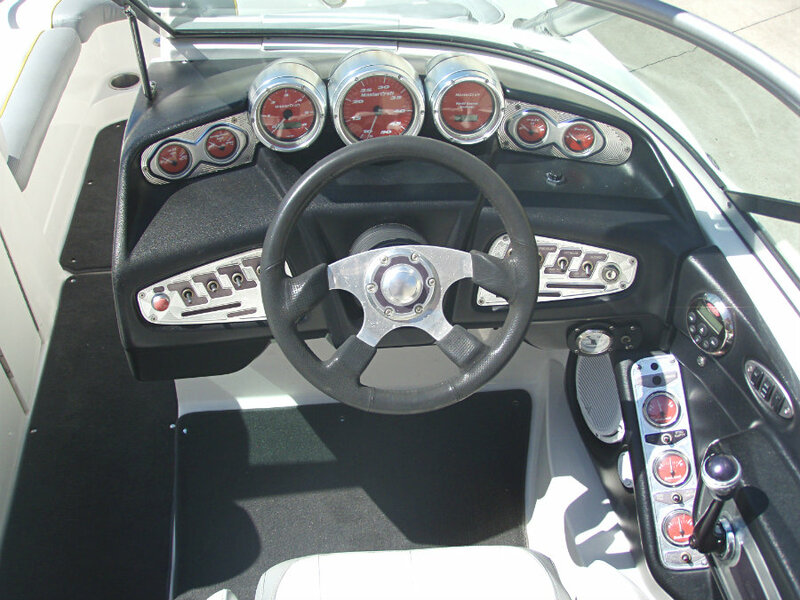 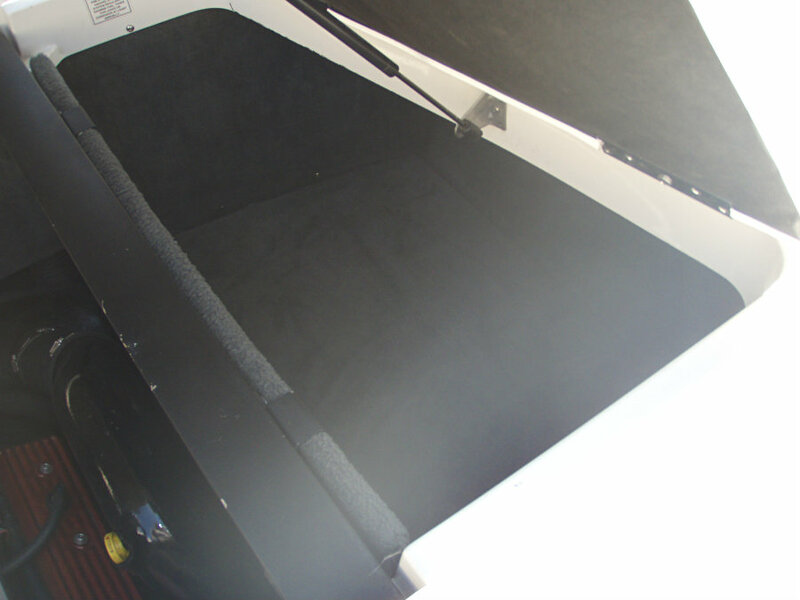 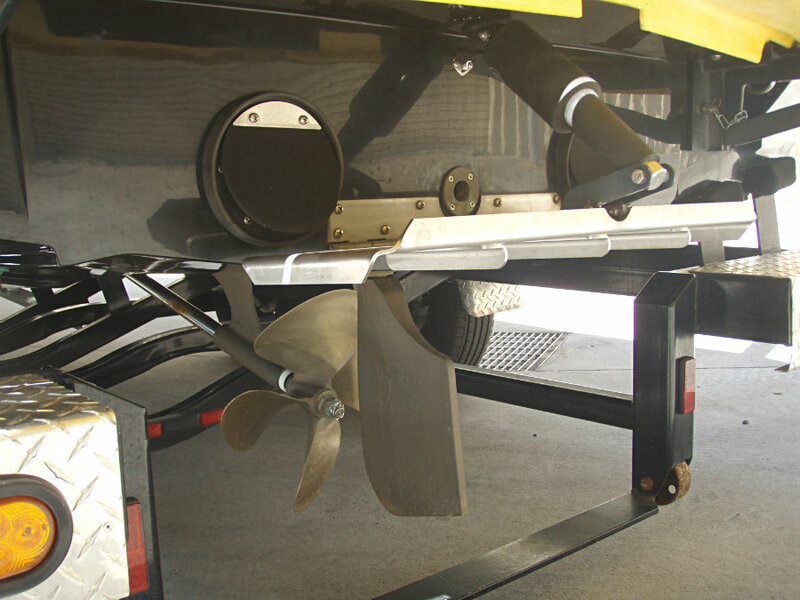 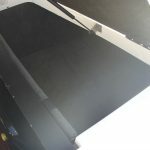 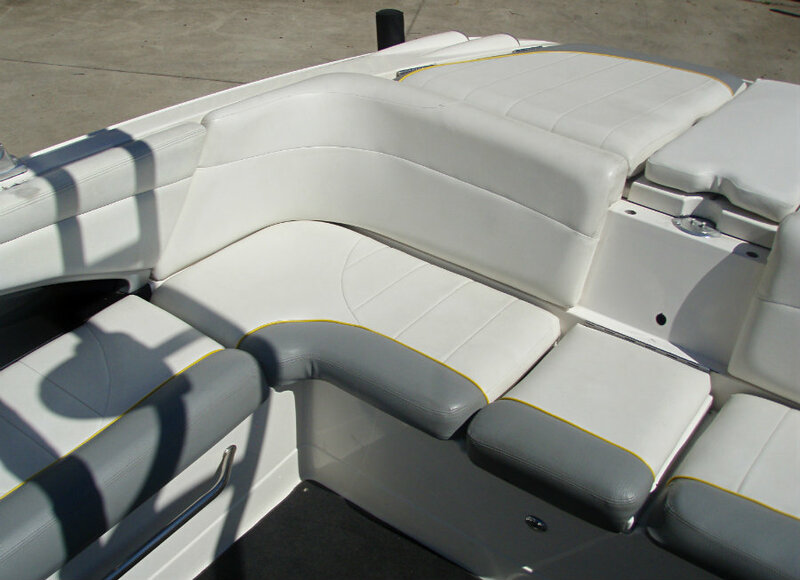 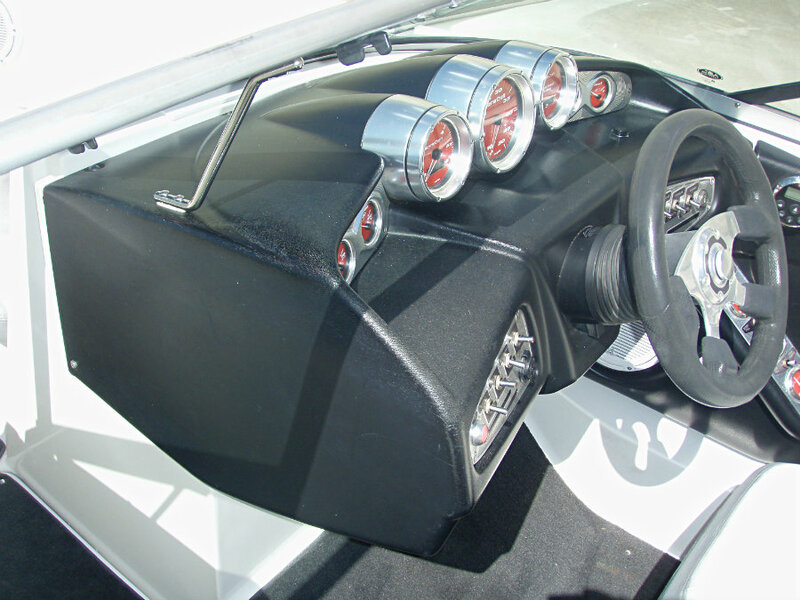 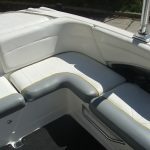 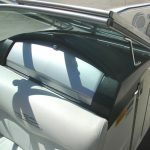 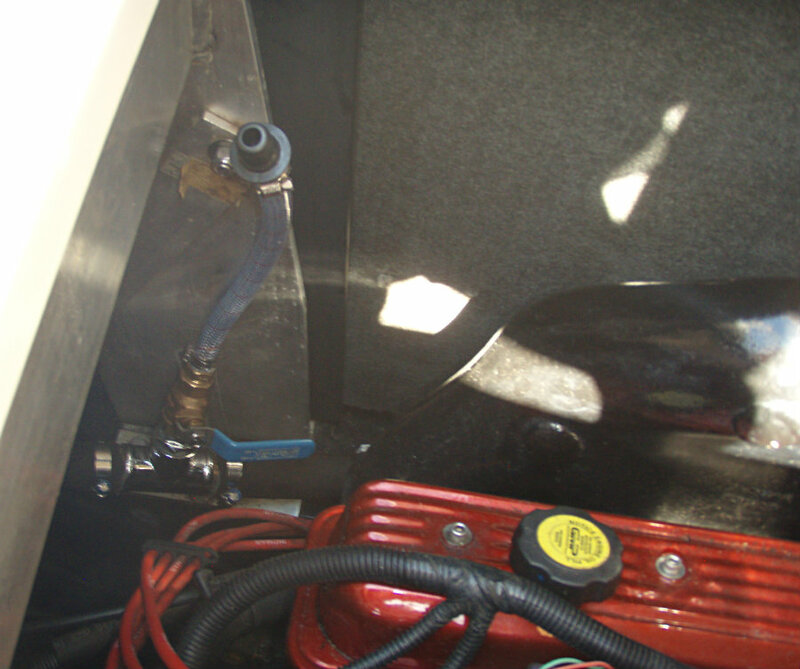 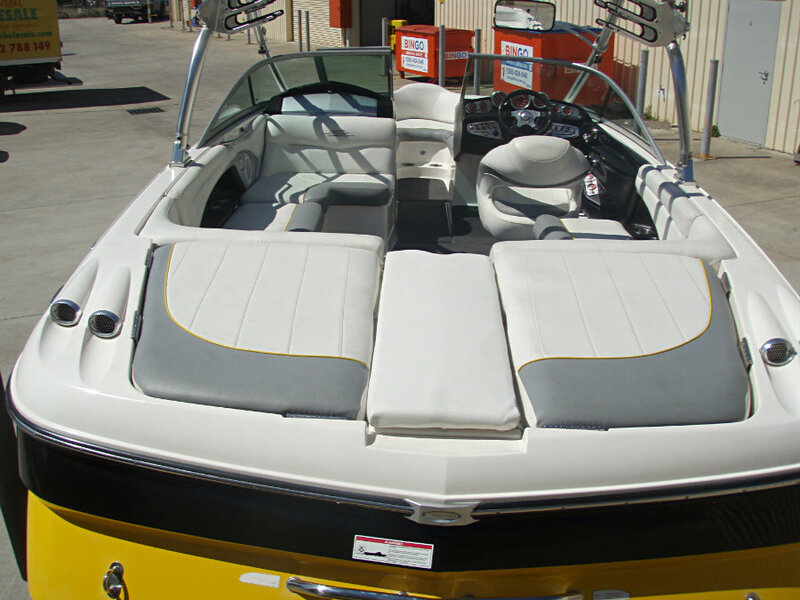 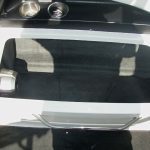 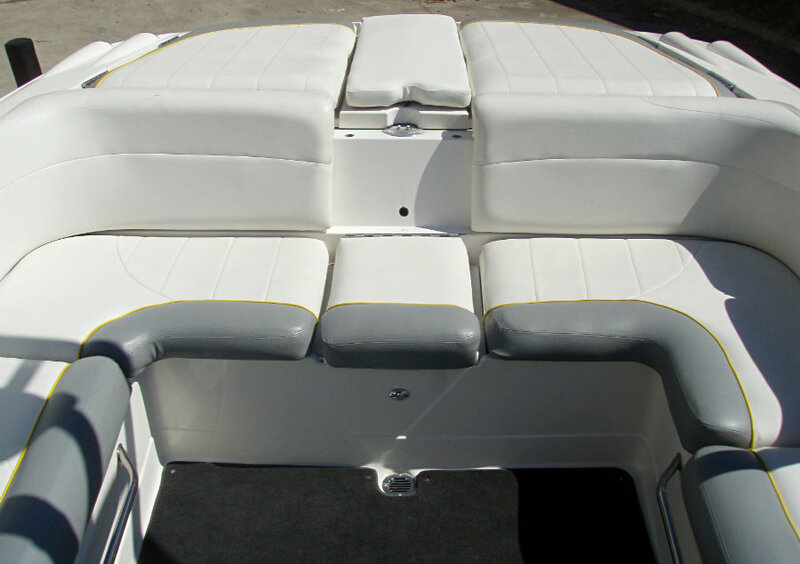 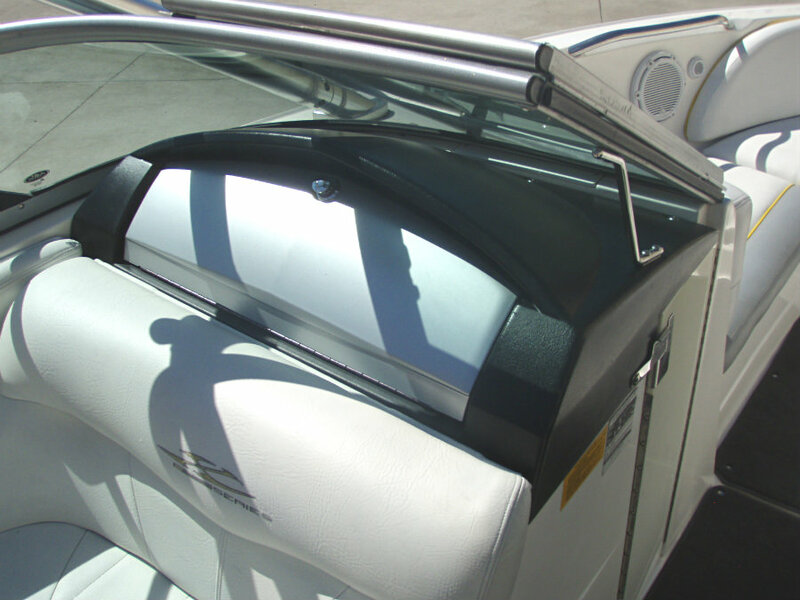 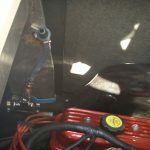 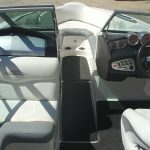 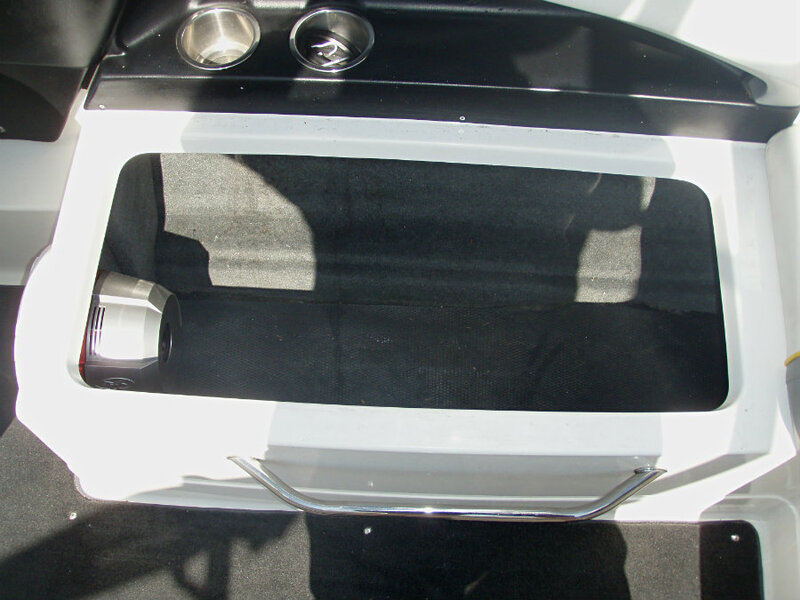 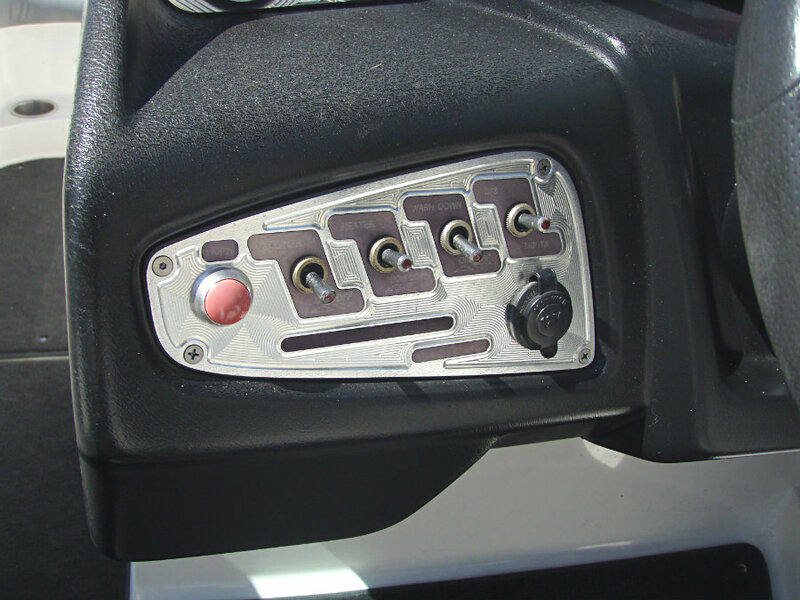 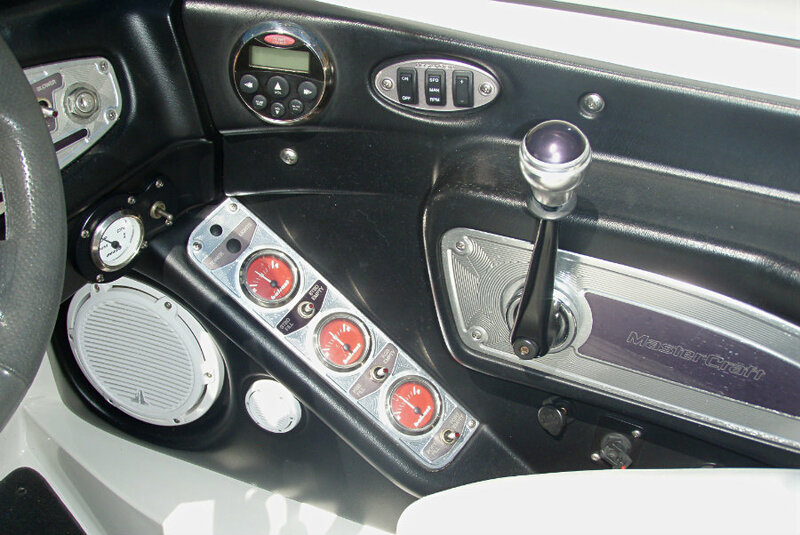 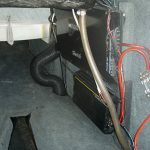 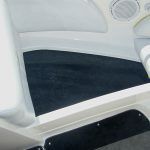 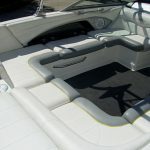 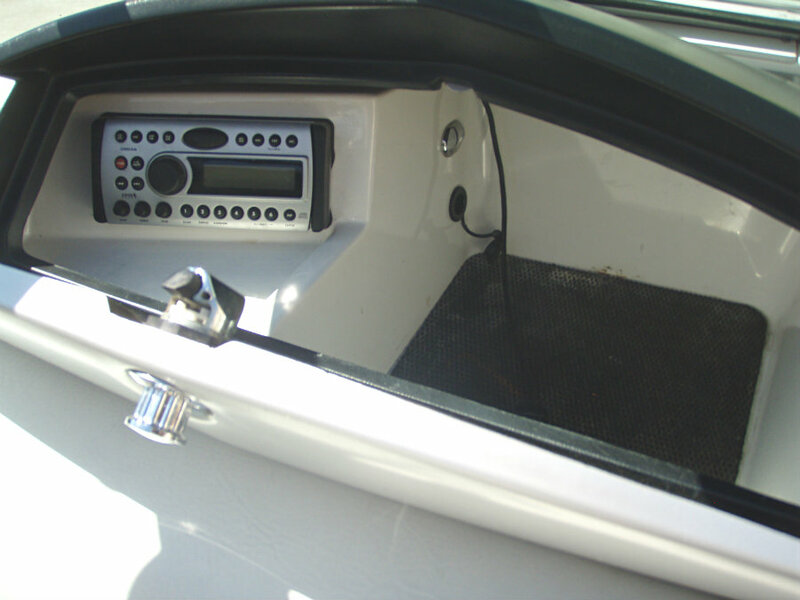 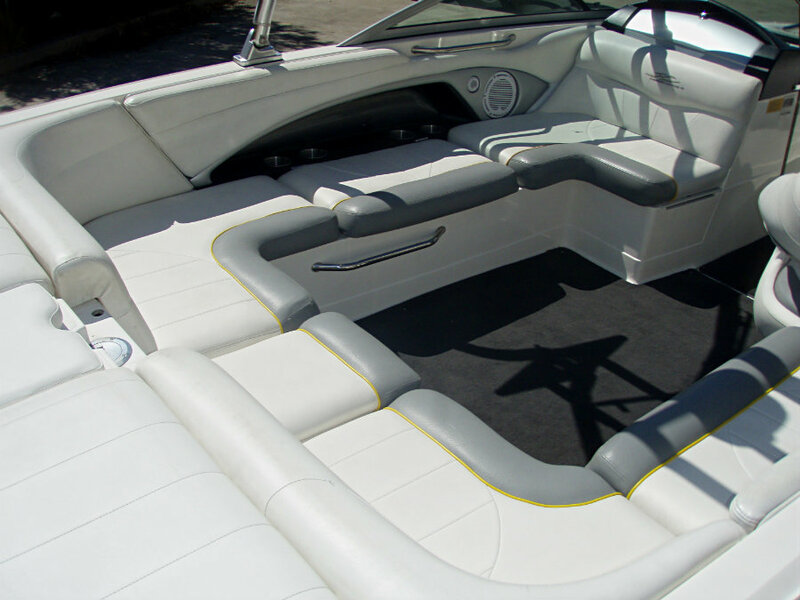 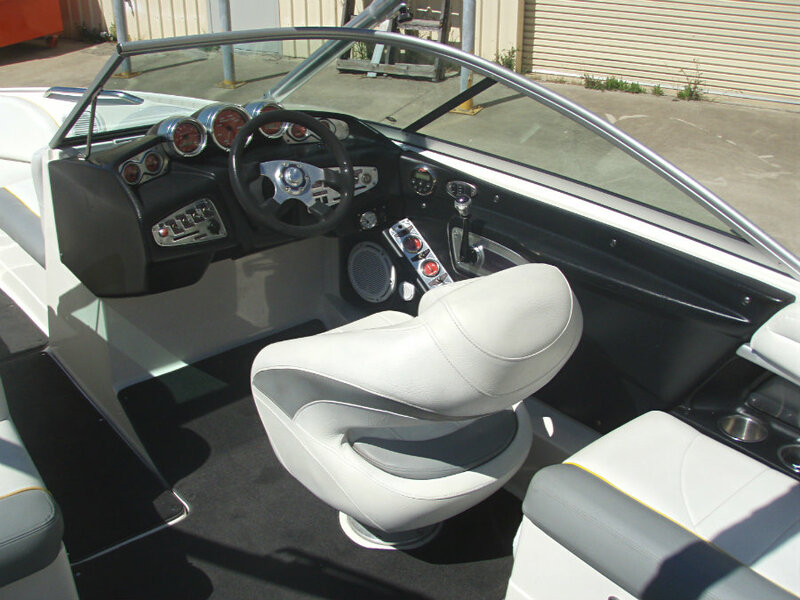 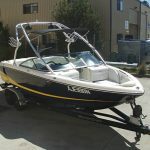 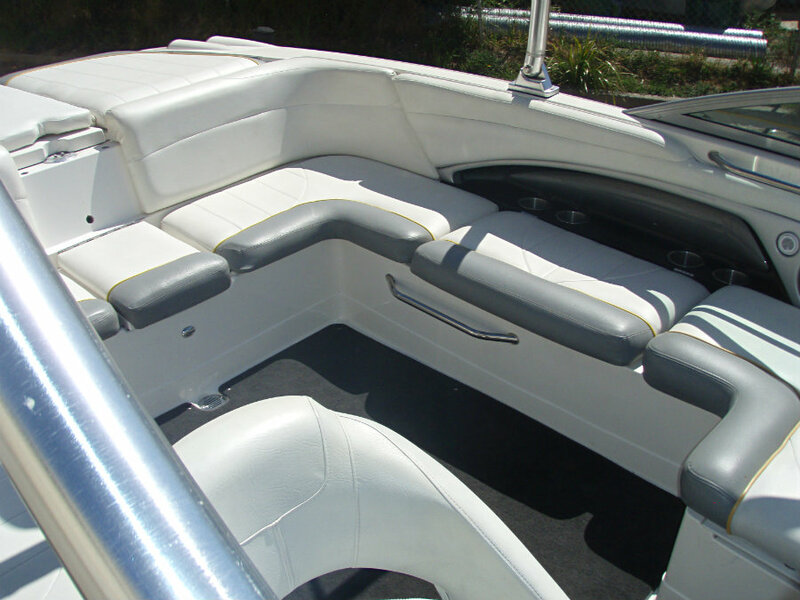 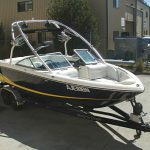 Behind the X-30’s diamond transom is a wakeboard or water skier lover’s fantasyland. 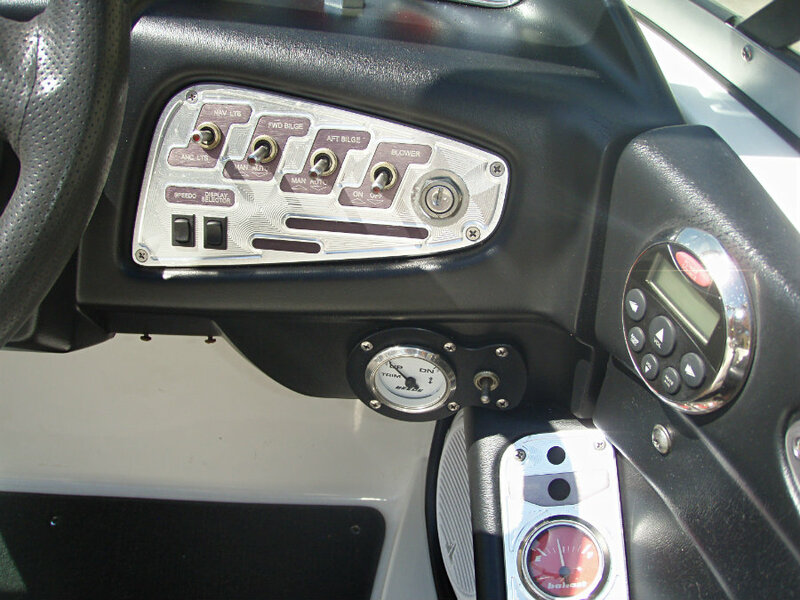 With wakes which move from butter at 50 kph to bulging at 35 kph, the X-30 singularly delivers skiers and riders equal doses of excitement. 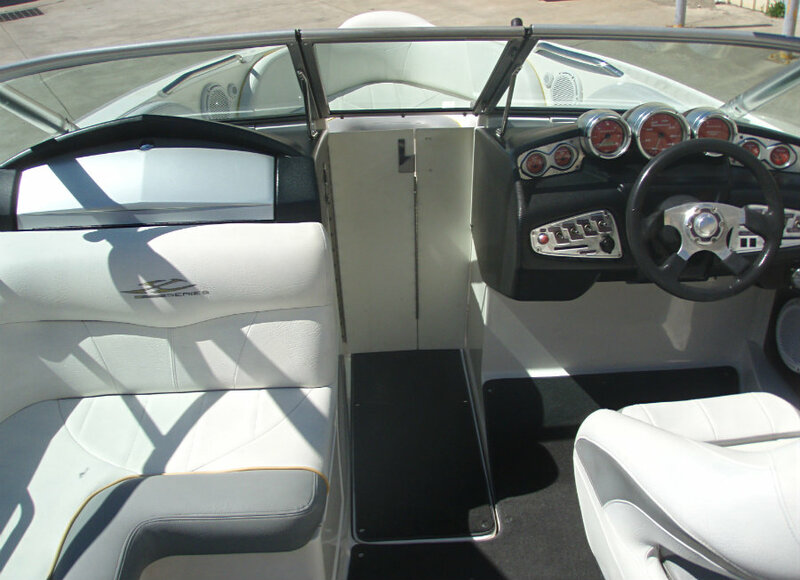 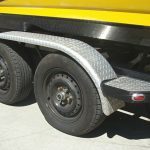 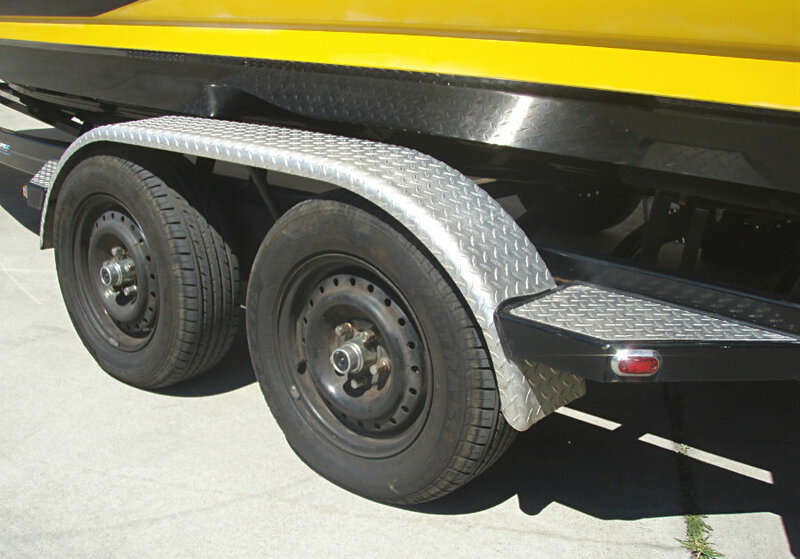 The innovative, modified step hull and a series of terraced chines allow the X-30 to move freely at slalom speeds while sitting low when the speedometer inches below 36 kph. 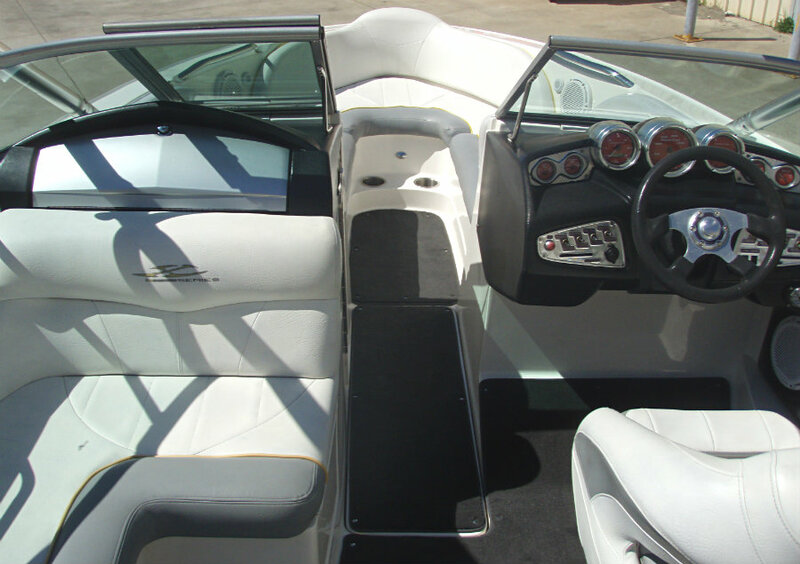 Innovation is continual, and boats like the X-30 are timeless. 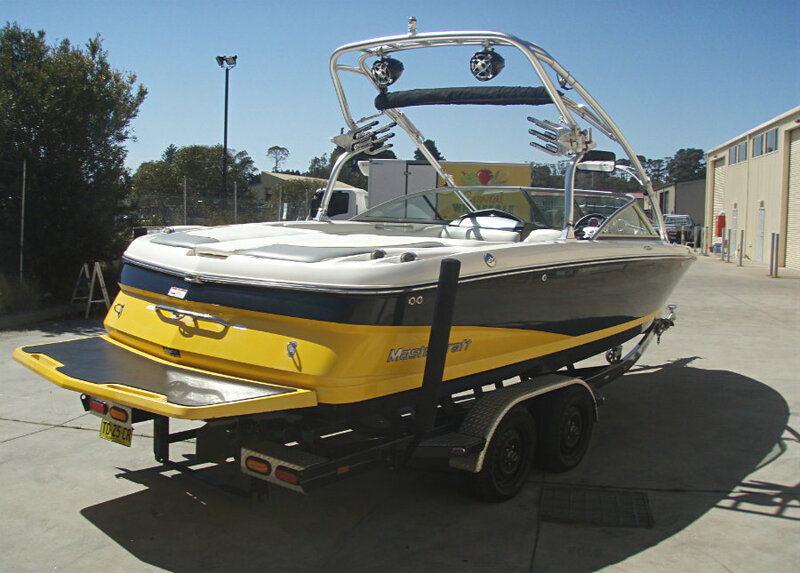 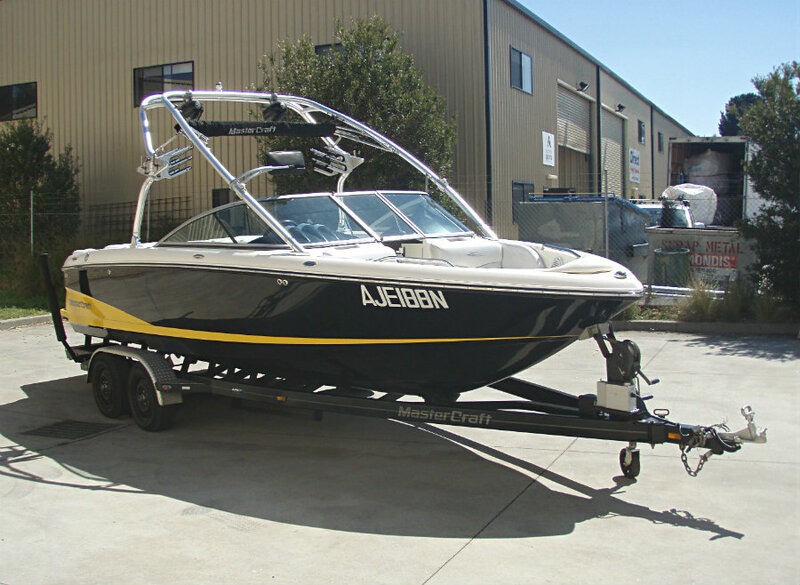 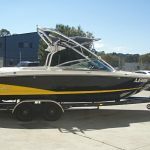 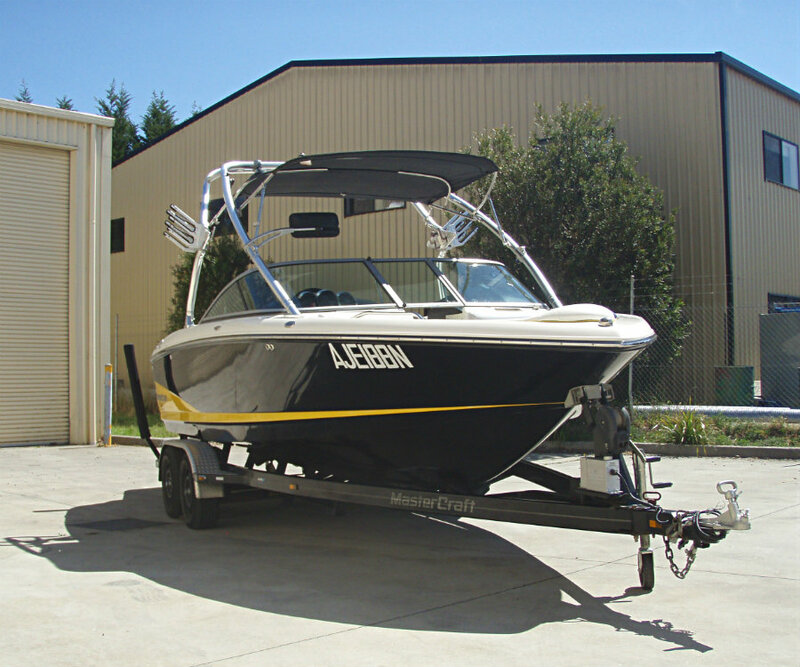 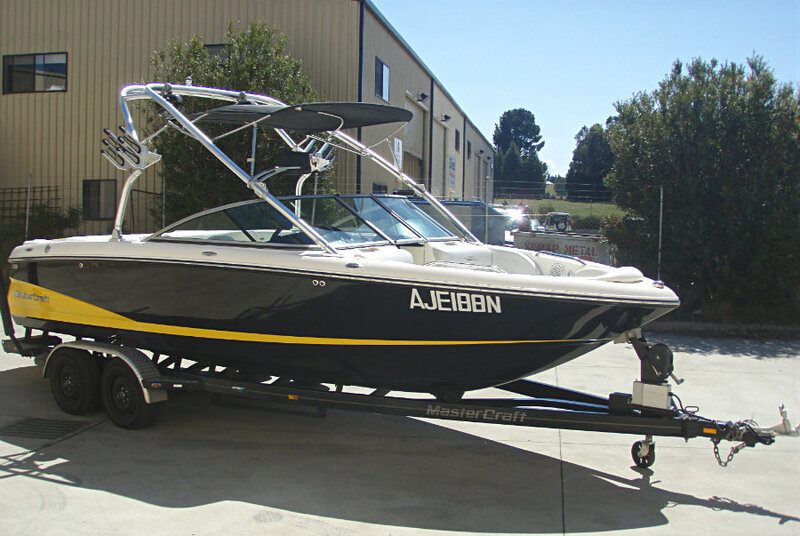 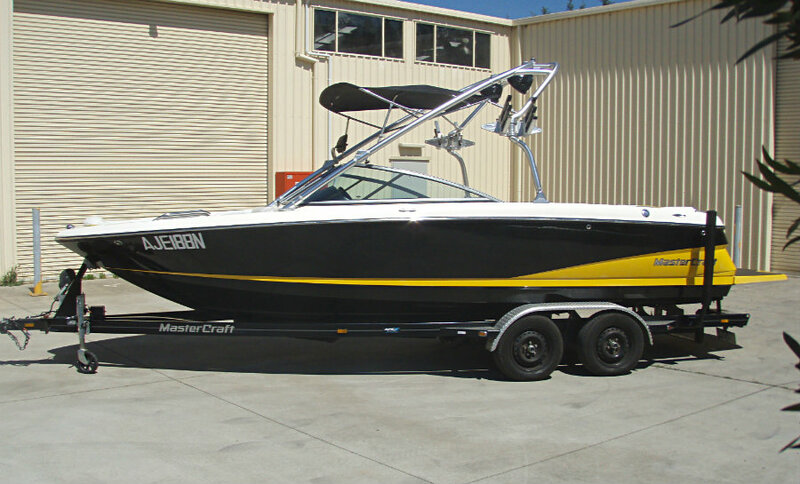 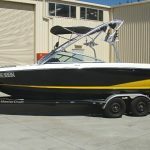 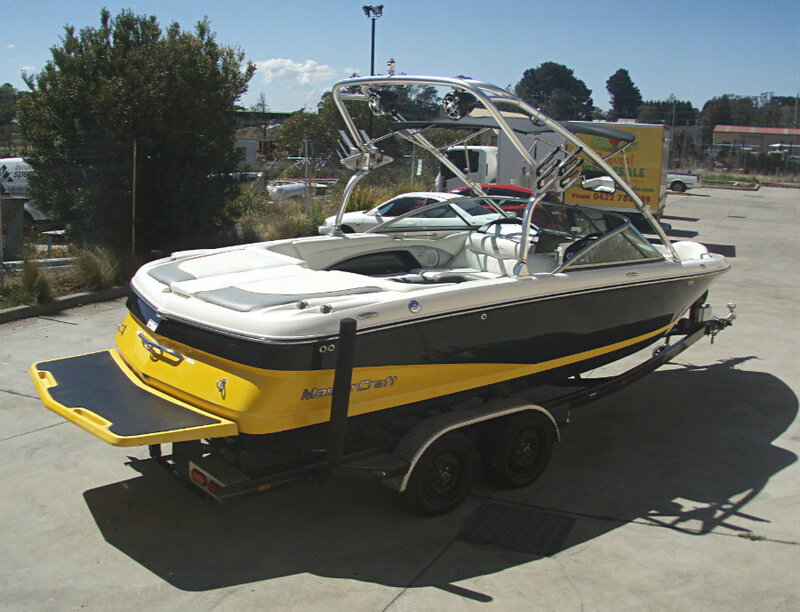 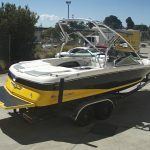 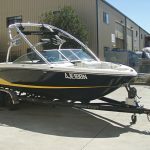 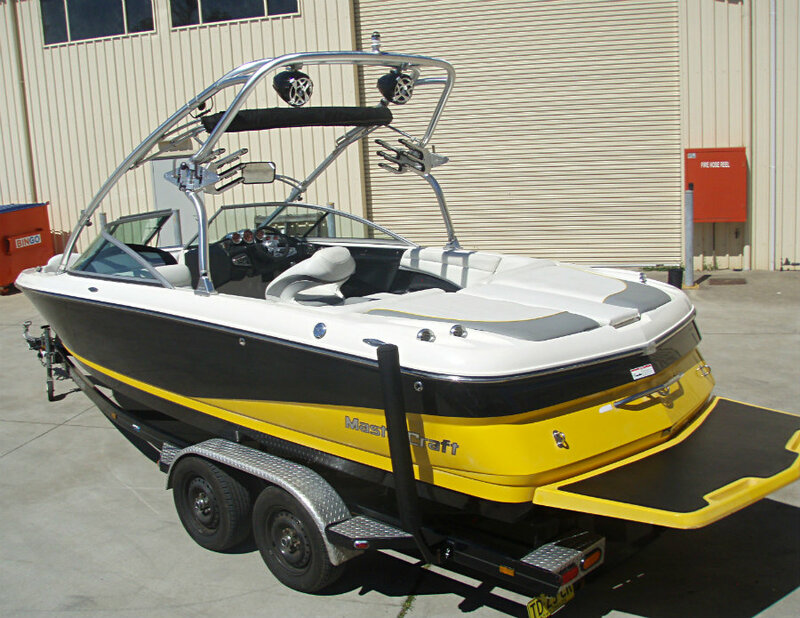 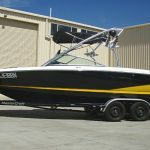 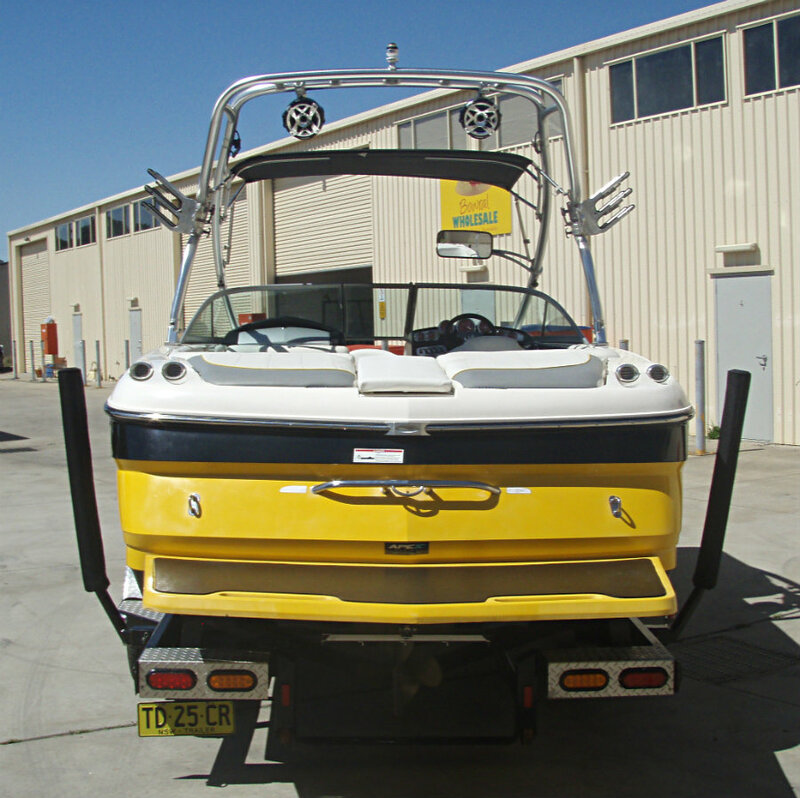 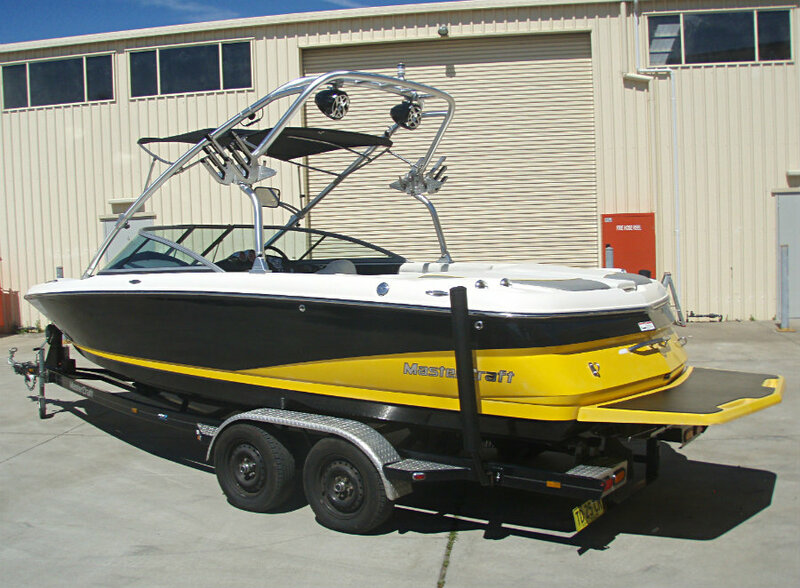 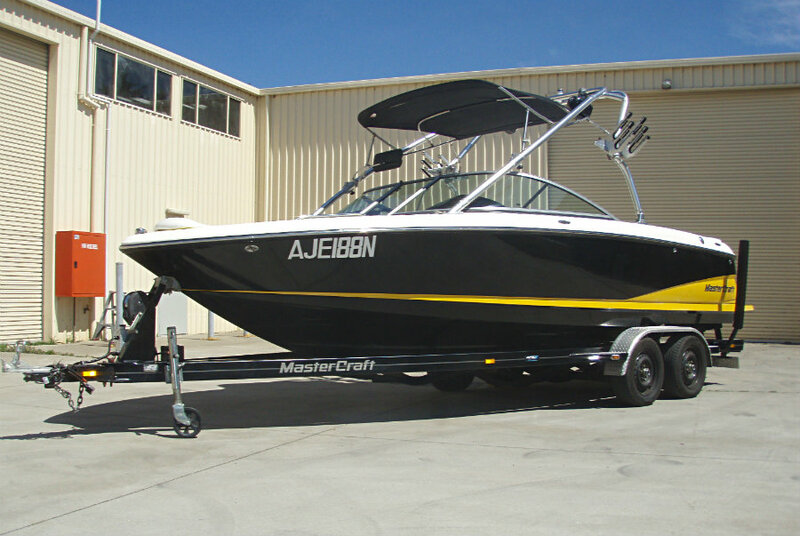 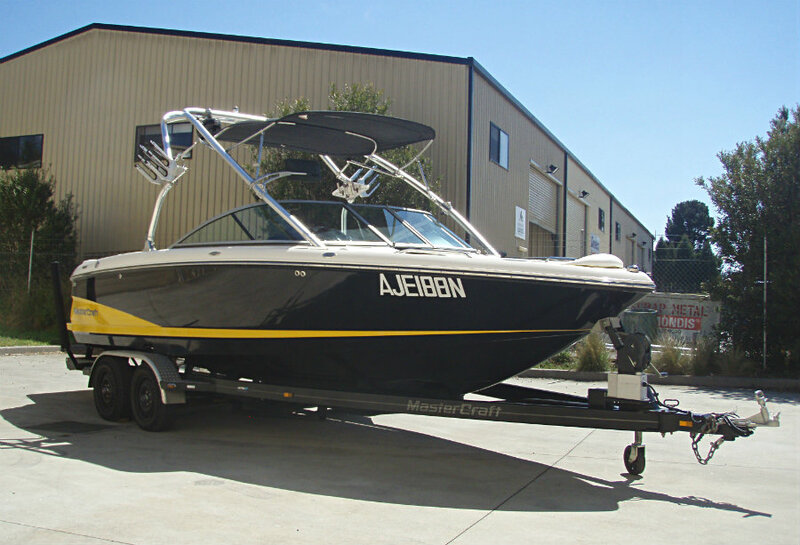 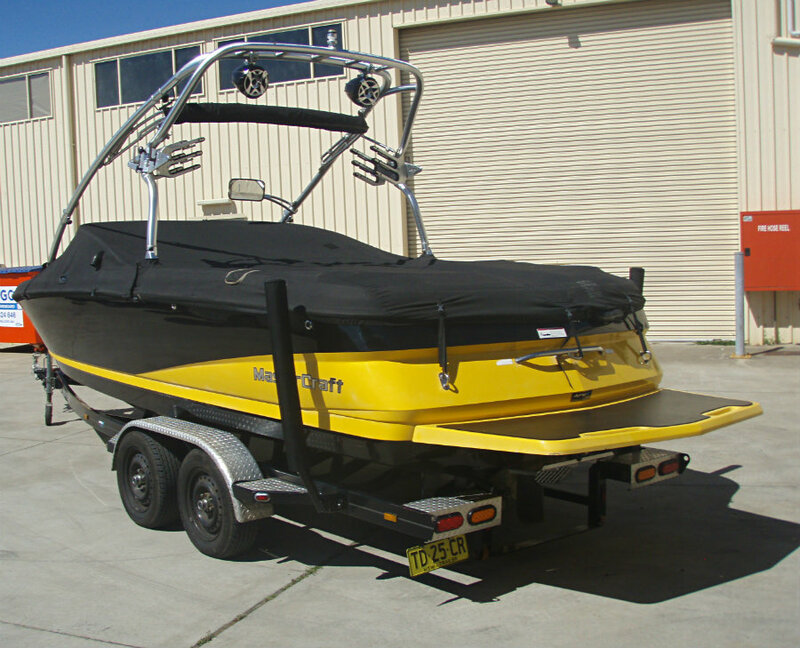 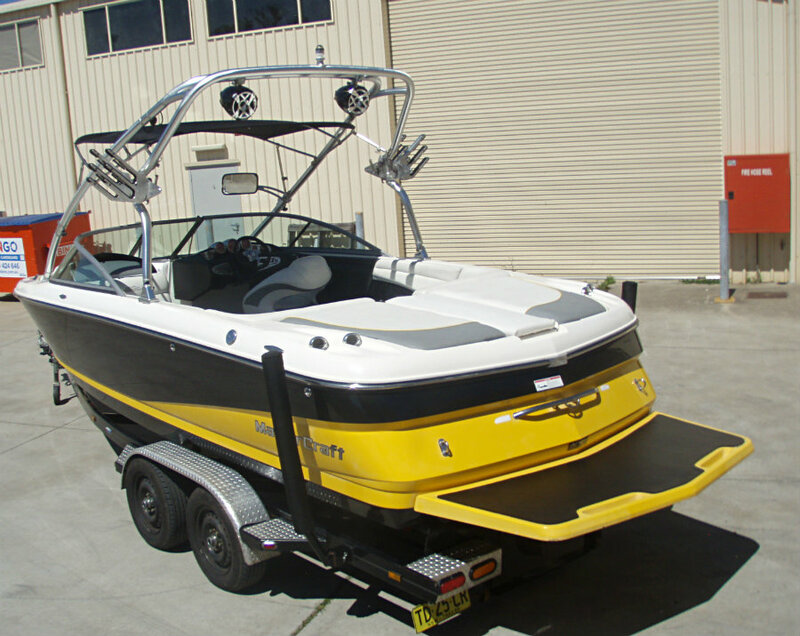 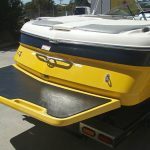 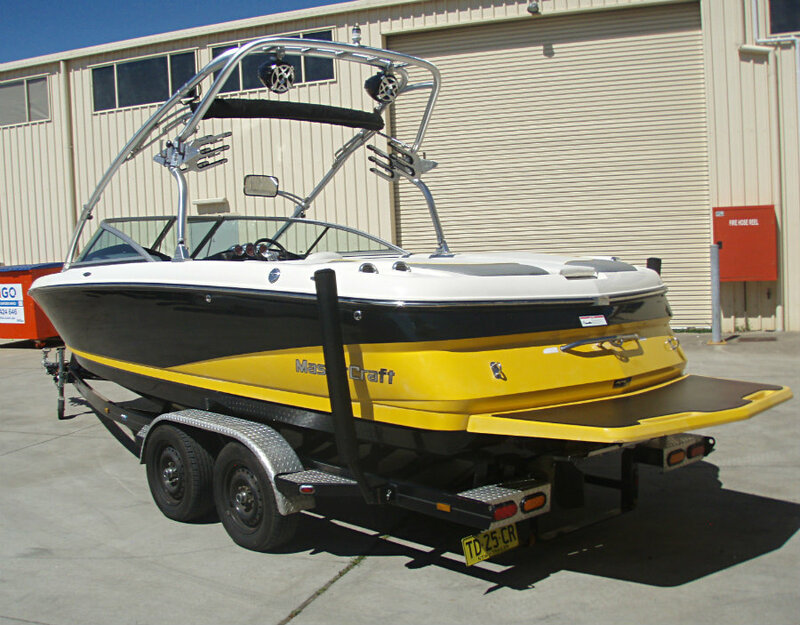 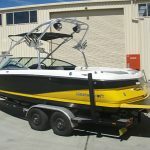 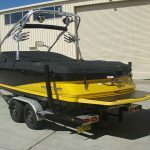 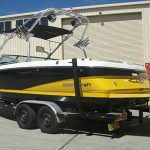 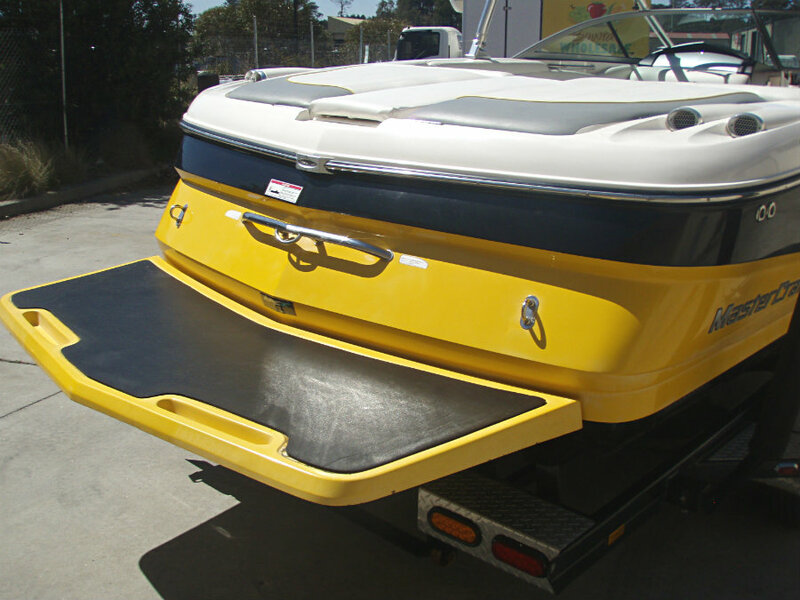 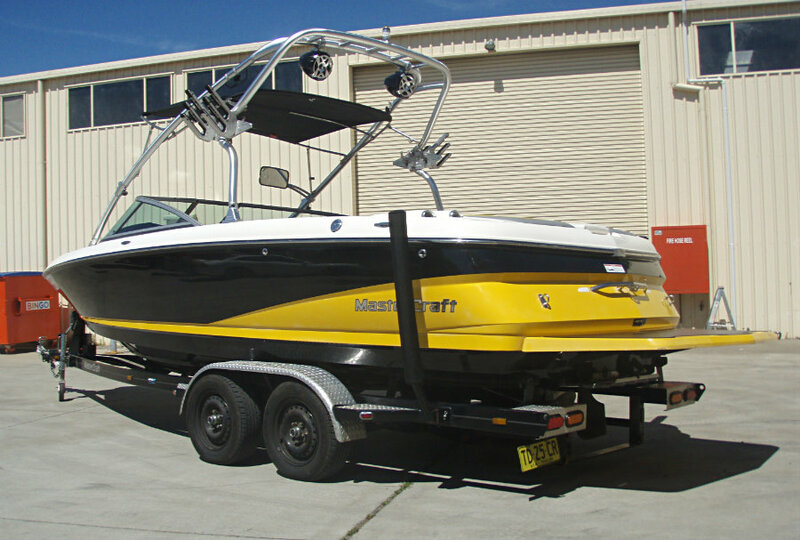 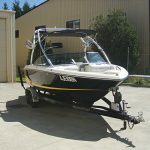 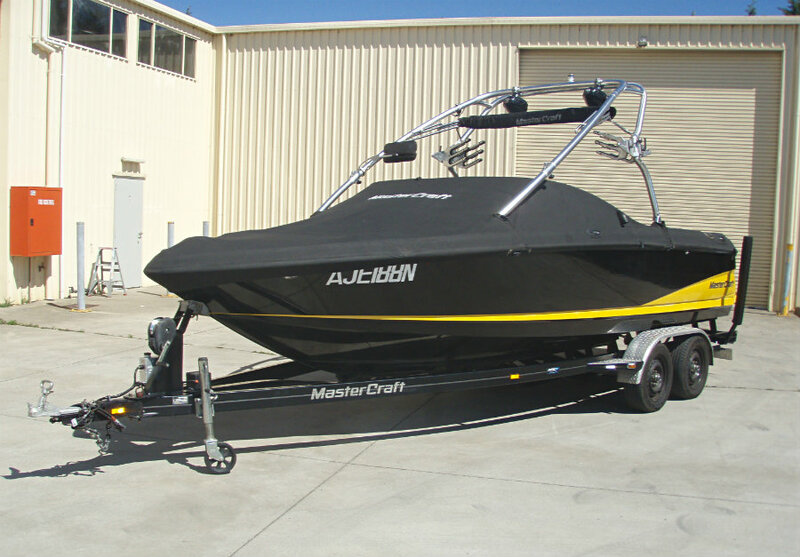 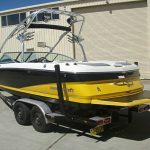 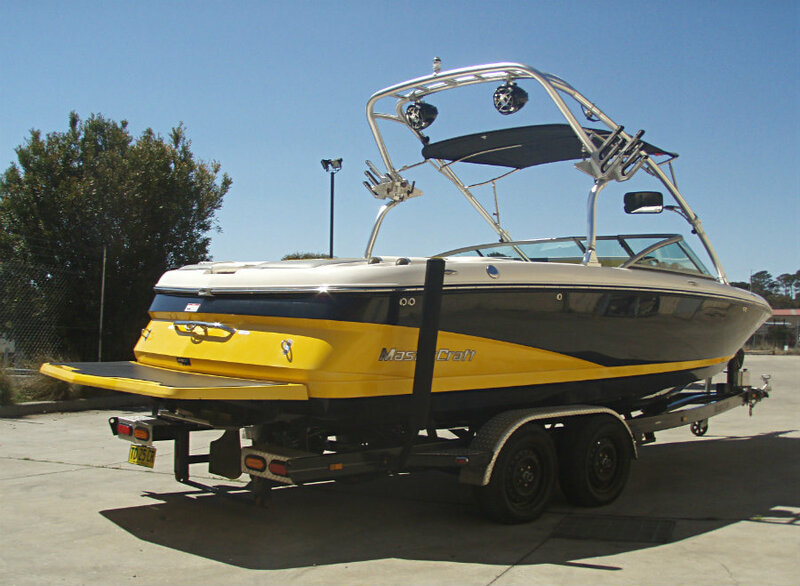 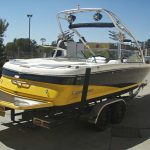 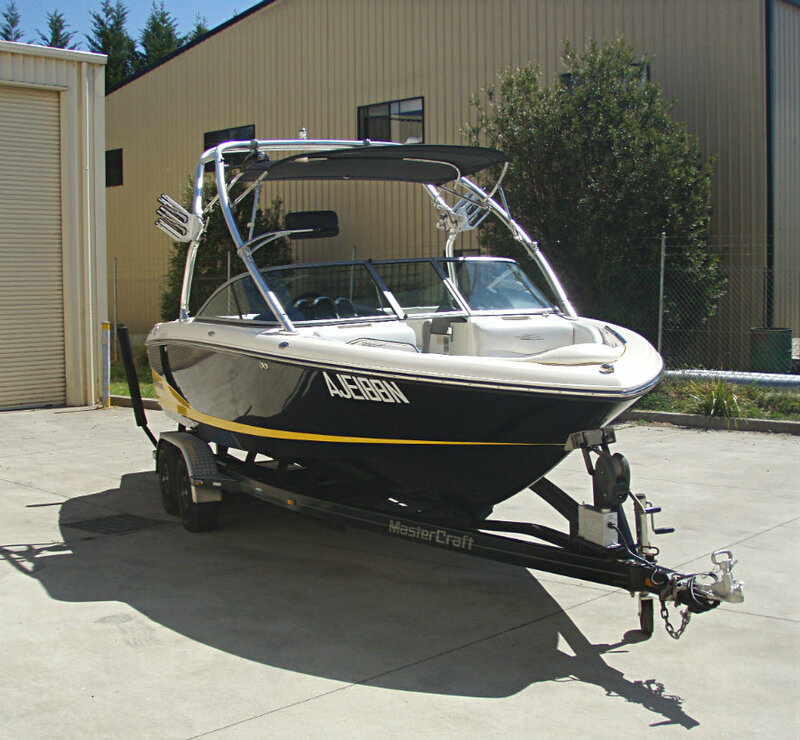 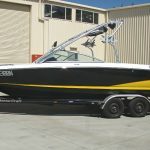 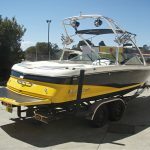 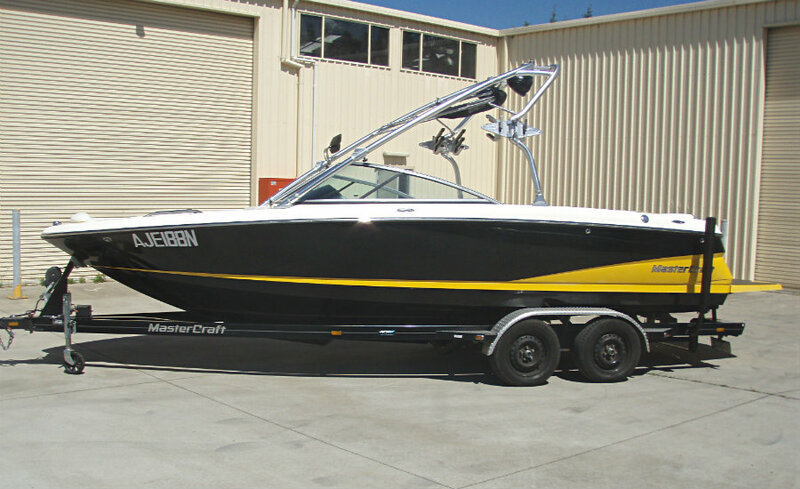 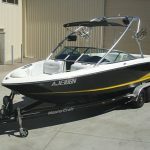 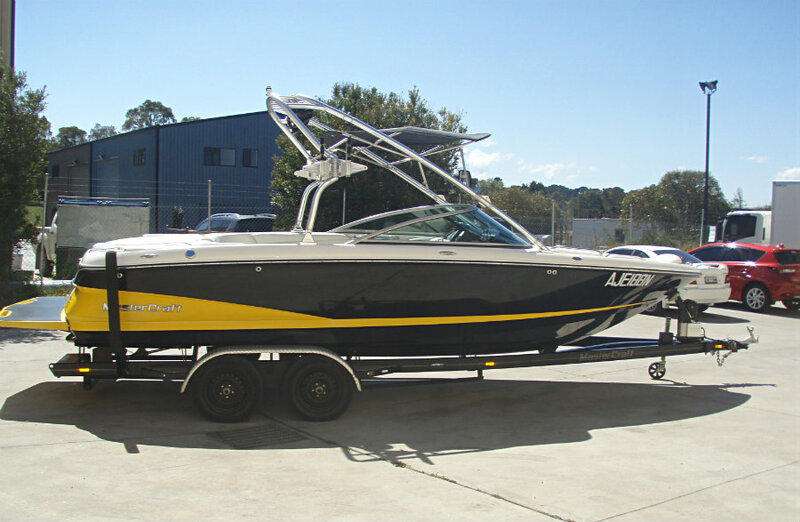 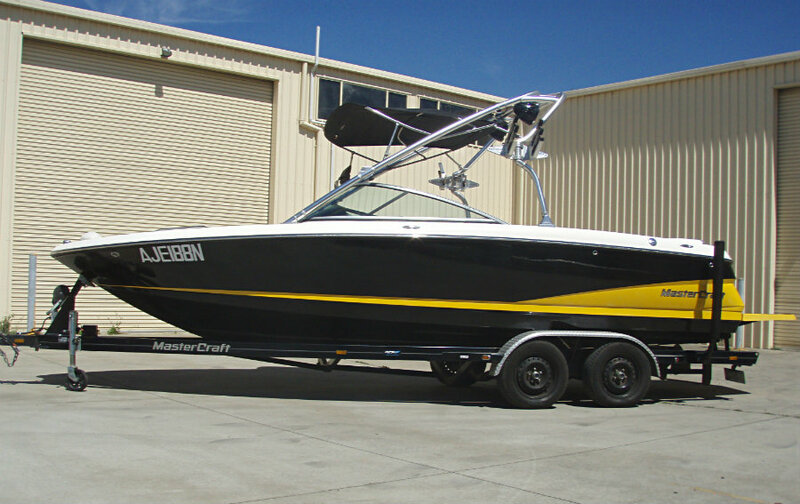 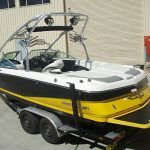 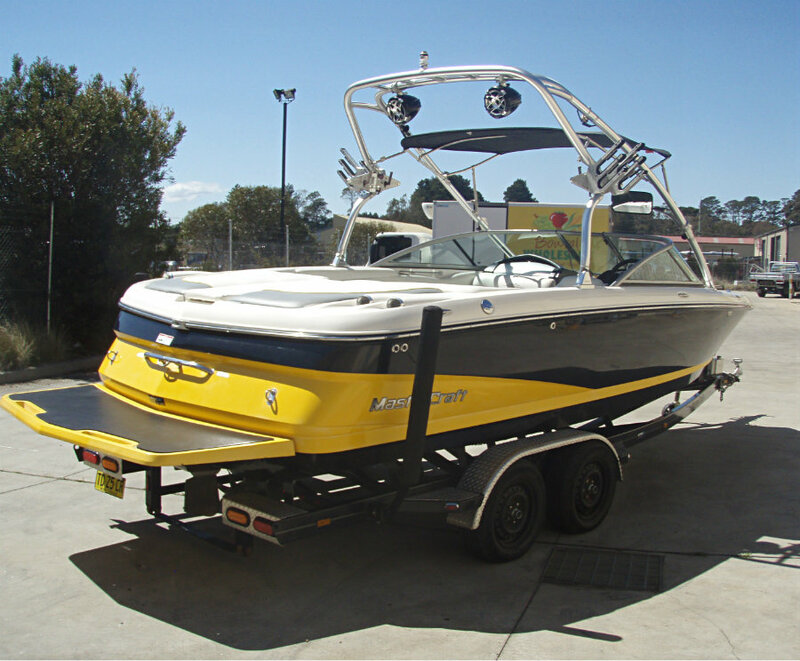 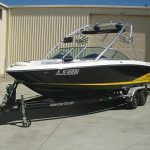 This X-30 sports a standout ‘black-on-gold’ colour scheme and is in excellent condition, it boasts a ton of storage, has seating capacity for 16 people, and is ‘fully loaded’ for a family & friends day of fun on the water.